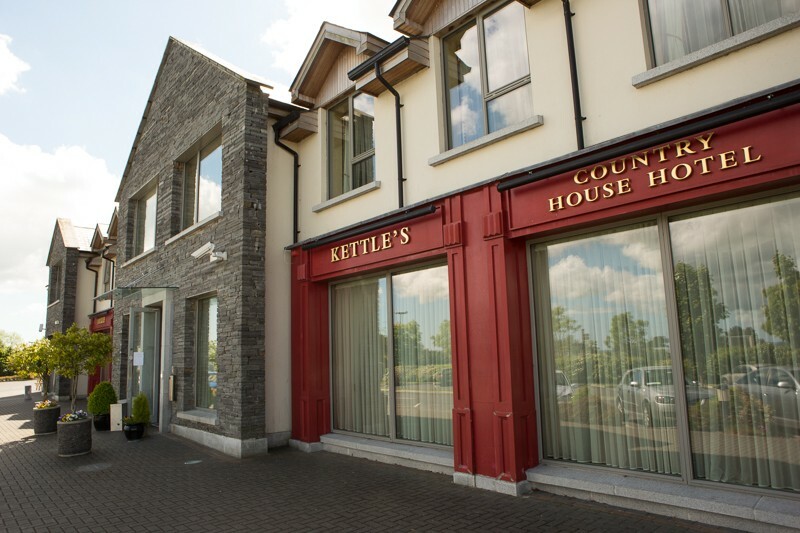 Kettles Country House Hotel is a recently refurbished four star family hotel in North County Dublin, situated minutes away from Dublin Airport and Swords, being the essence of elegance and charm. 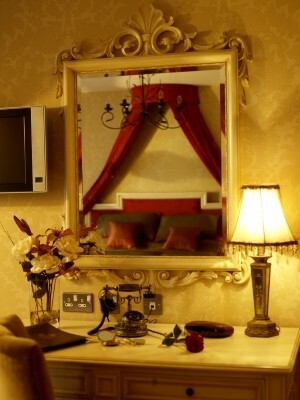 The hotel itself has twenty five charming en-suite guest bedrooms, which have been renovated to the highest standards. 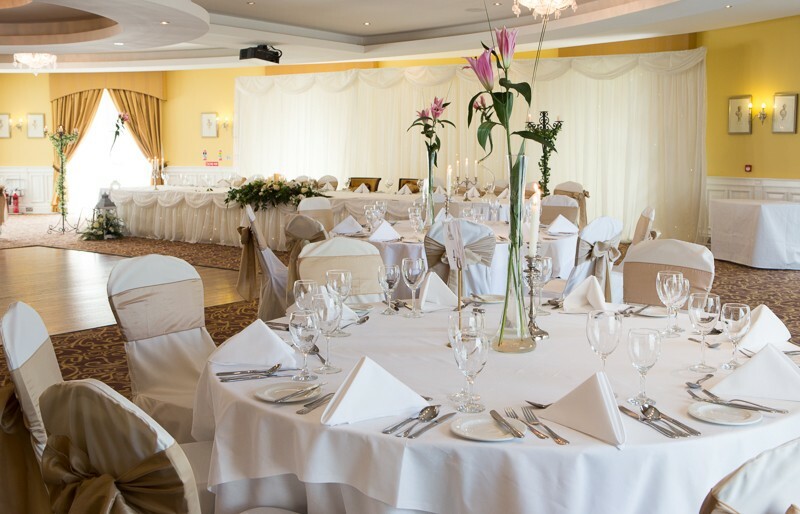 Our dedicated Wedding Coordinator along with experienced management of the hotel will constantly be on hand to support you in all your plans to make your special day absolutely perfect. 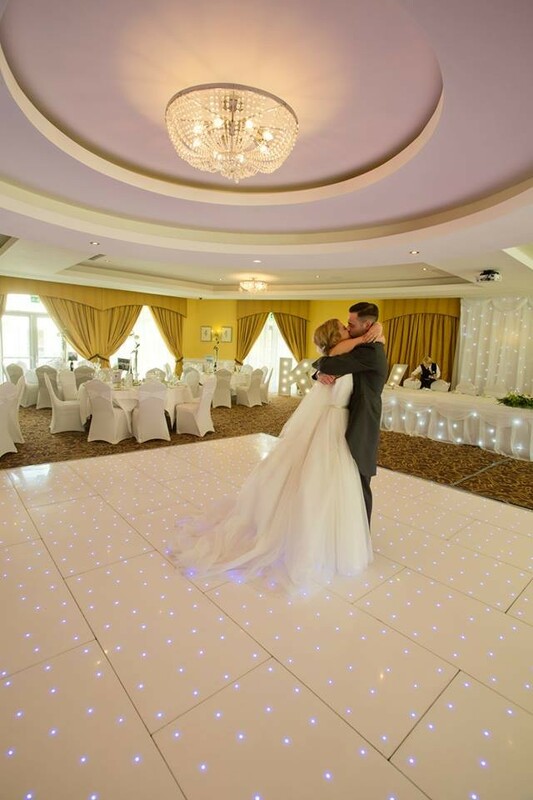 We promise you exquisite surroundings, exceptional service and a team of fine dining chefs to ensure the ideal setting for your Wedding Day. 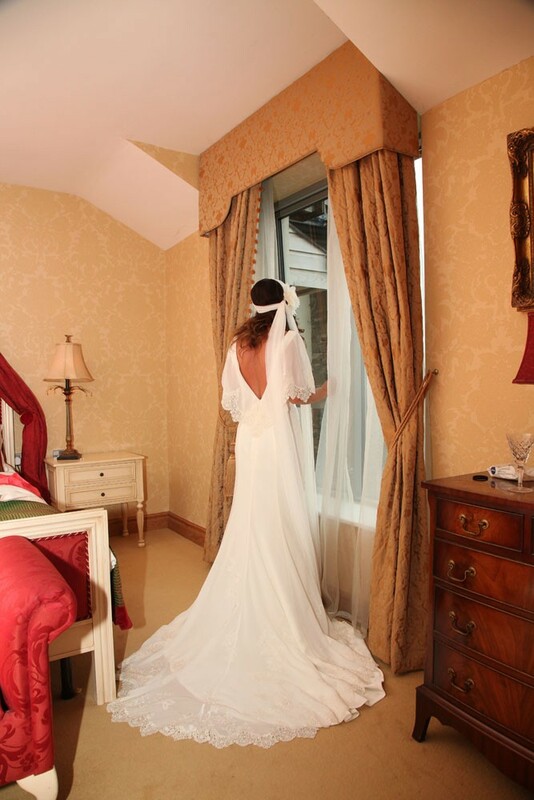 Our grand Rose Anna Suite is equipped with its own private entrance and arrival reception area which is exclusive for you and your guests to enjoy. 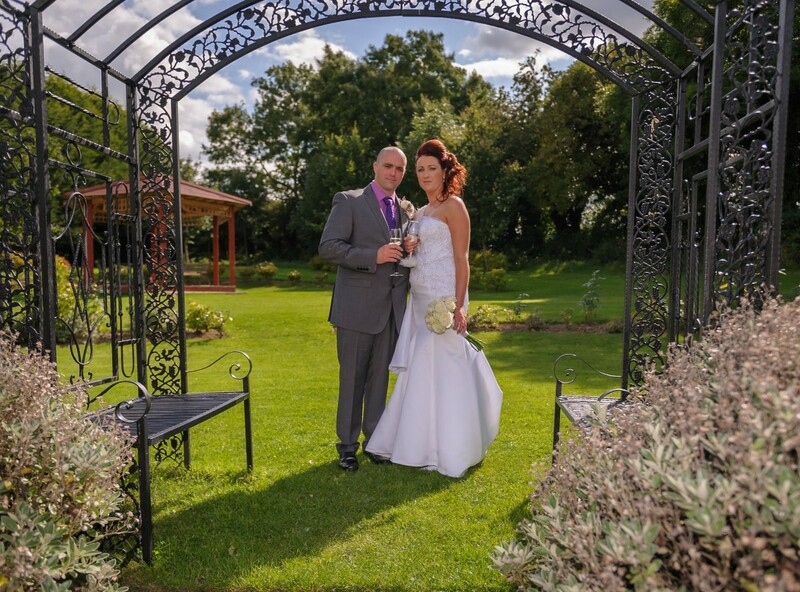 The grounds of the hotel have exquisite rose gardens which are the ideal setting for photographs for your wedding album, eliminating the need to stop en route. 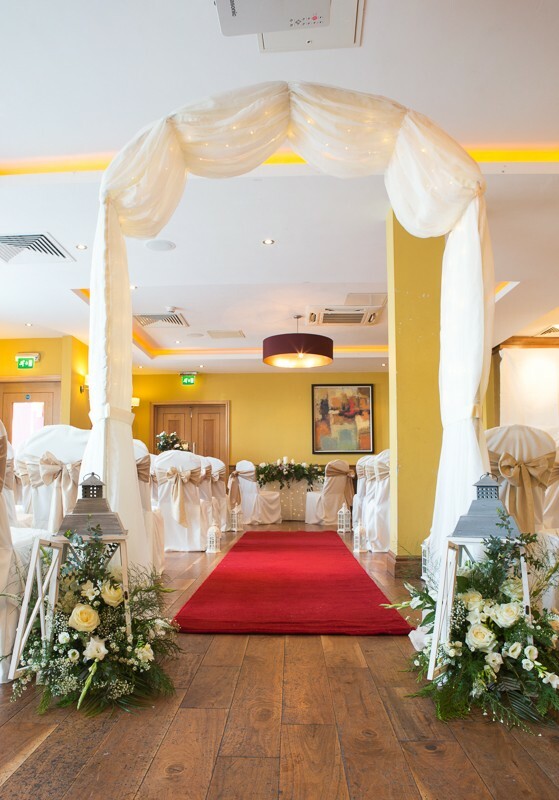 Boasting floor to ceiling windows optimizing the natural daylight, the Rose Anna suite was ultimately designed with your special day in mind. 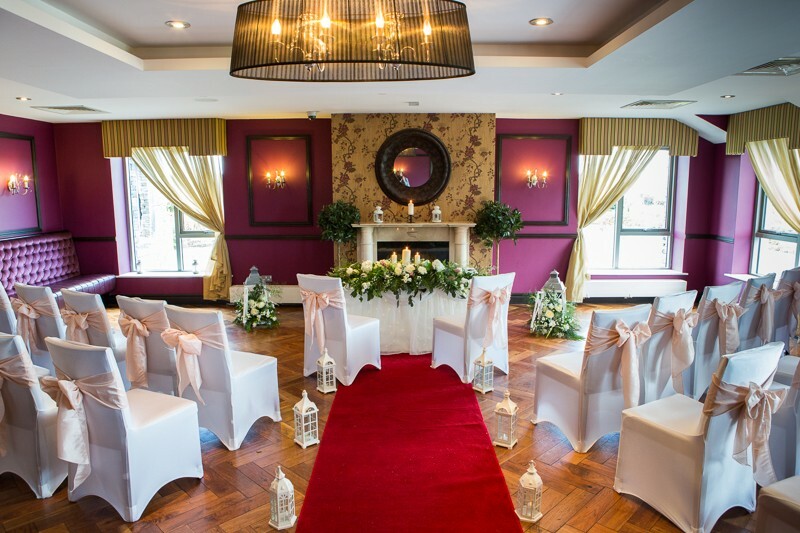 Should you be planning a more intimate affair, our Arkle Suite or beautifully designed private Restaurant are the perfect settings for you to choose from, which both offer their own private entrances. 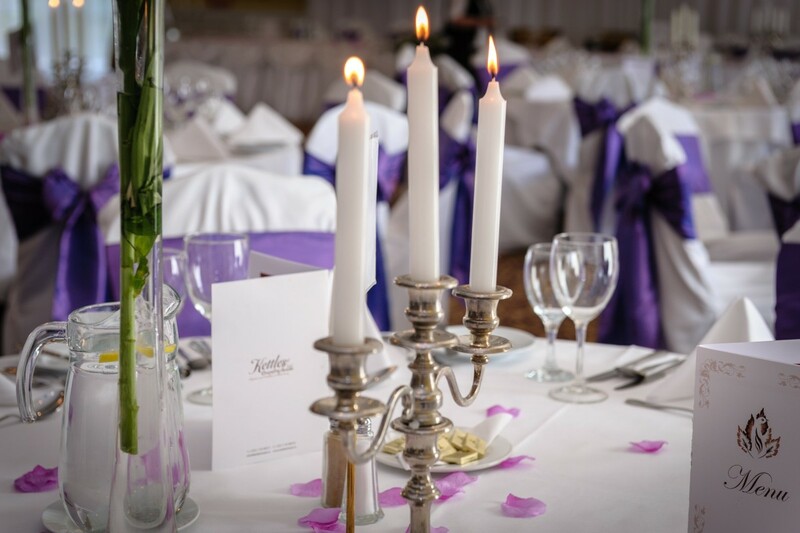 Kettles Country House Hotel not only offers you facilities for your evening reception, with the hotel being eligible to host civil ceremonies. 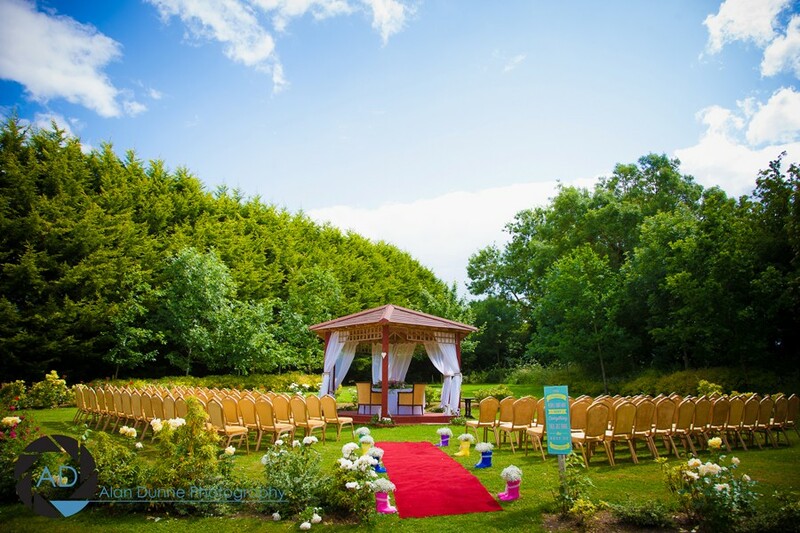 The hotel offers a range of different ceremony locations, with outdoor ceremonies also proving popular on the grounds. 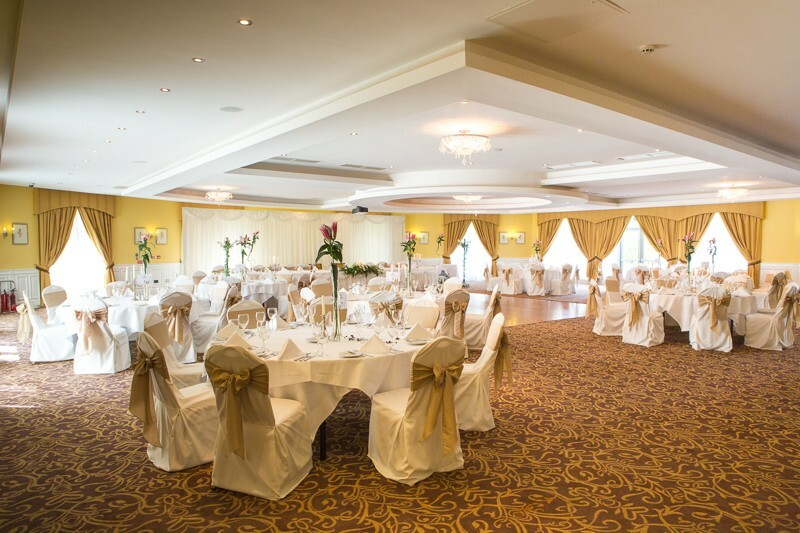 Kettles Country House Hotel is a beautiful country house hotel which is a family run wedding venue in North County Dublin servicing weddings throughout the local area including Swords, Malahide, Donabate, Skerries, Blanchardstown, Ashbourne & Lucan. Kettles Country House Hotel is a Ideally situated country house venue that has been part of the wedding industry since 2007 specialising in large and intimate weddings as well as civil ceremonies, indoor and outdoor in our exquisite gardens..
Hi Barbara & Richard, I hope you are both keeping well and enjoying wedded bliss! 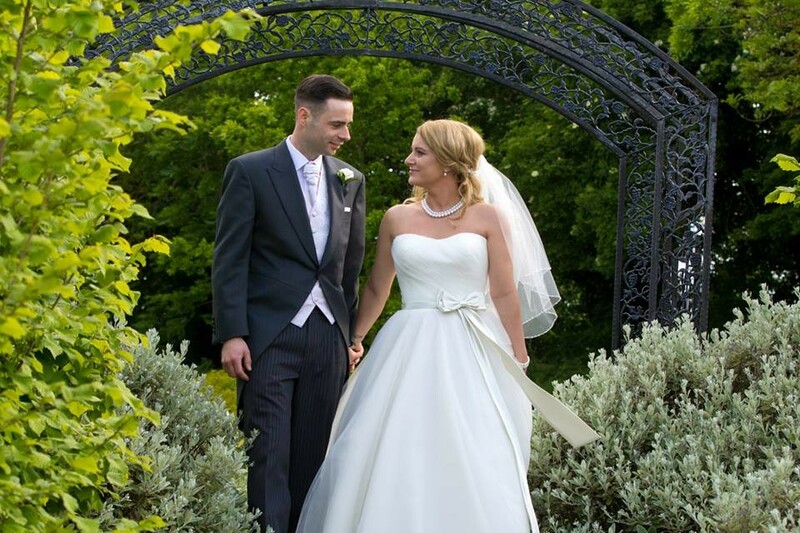 Thank you so much for recommending Kettles Country House Hotel as a Wedding Venue. 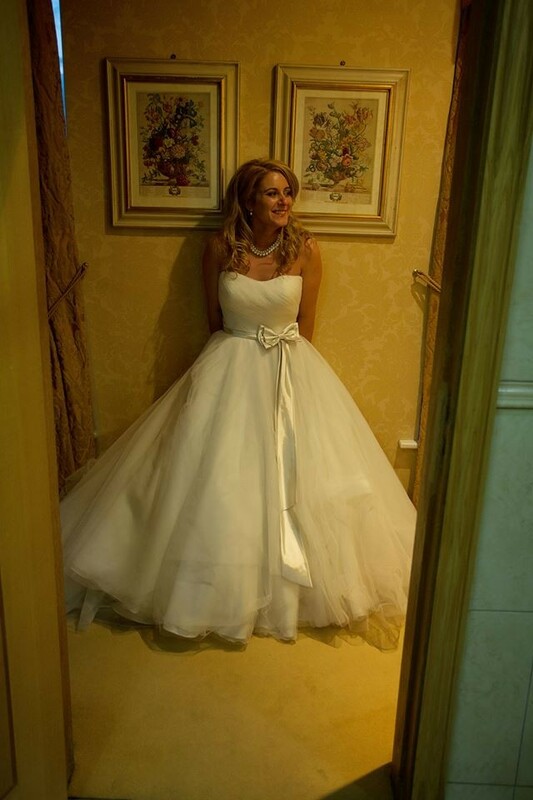 I am so happy to hear that we were able to play a part in making your day so special. We hope to welcome you back in the near future. We were so happy with everything from Kettles. 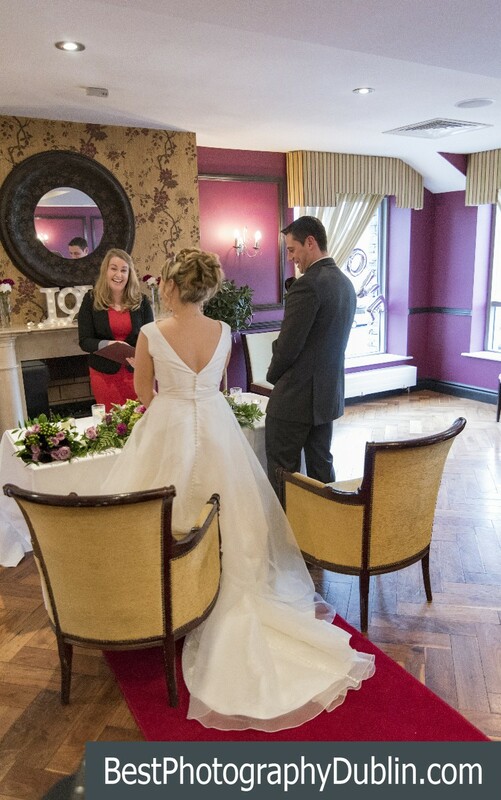 From the very first moment of booking, right up to our wedding day Elaine was there to look after every query we had. Weddings are extremely stressful but Elaine and Kettles removed all that stress from us with regards to the venue and on the day. Everything was excellent! Food and service is outstanding, all the staff are so lovely and helpful and nothing we asked was ever too much! 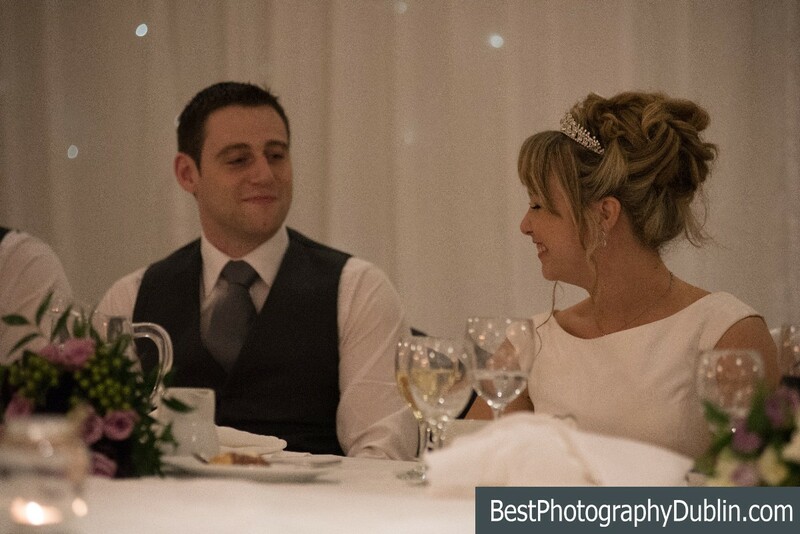 In the weeks after the wedding we are still getting compliments over the service, food and staff at Kettles. The atmosphere while always professional, was always personal and relaxing. We can’t recommend Kettles enough! 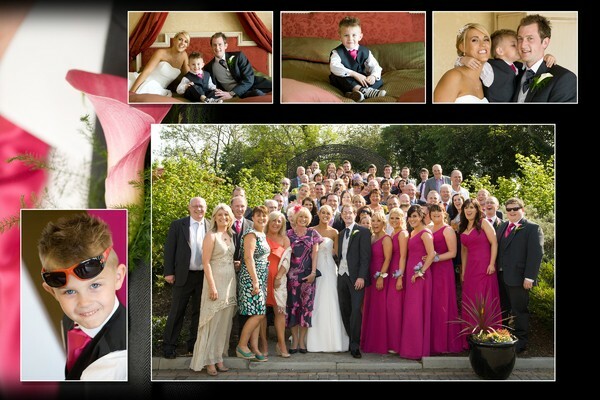 We wish we could have our big day all over again because it really was so much fun and we wouldn’t change a thing! 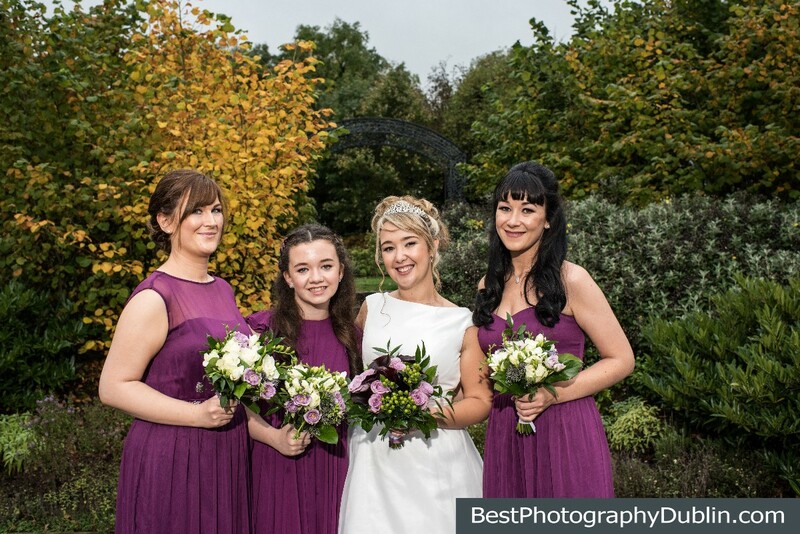 Elaine and all at Kettles are absolutely wonderful and will make sure you have the most amazing day. 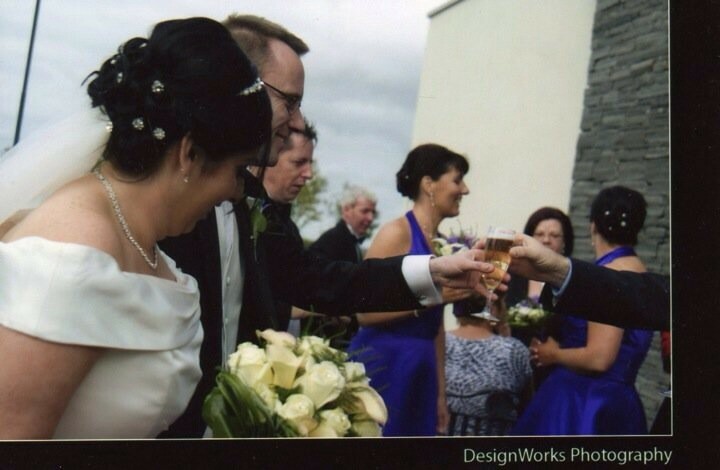 Hi Denis & Sinead, I hope you are both well recovered from the Big Day! Thank you so much for taking the time to leave such lovely feedback. I am delighted to hear that you were pleased with everything on the day and that we at Kettles were able to be a part of your Special Day! We hope to welcome you back to Kettles again in the near future. We had a small wedding if 50 guests. Elaine the wedding planning was amazing from the day we met with her. 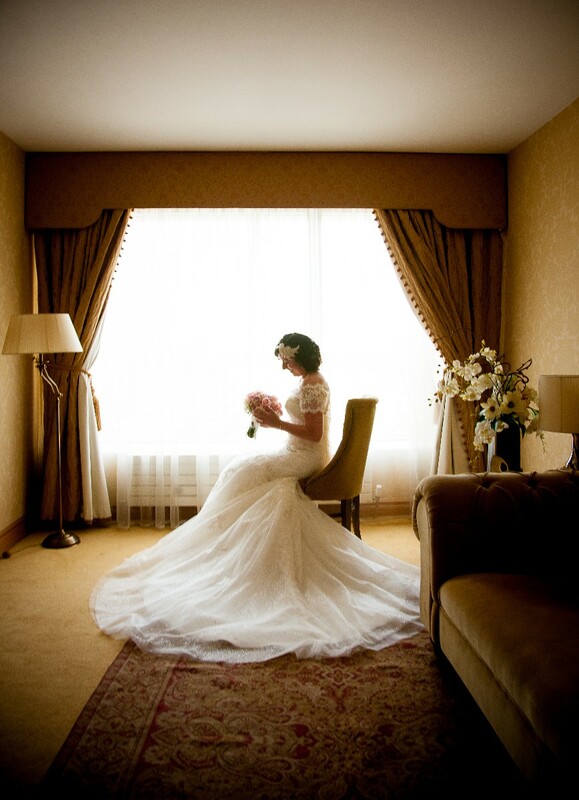 She tailored a wedding package to suit us and our budget. Was quick to reply to any questions I emailed her or send on photos for inspiration as I was a bit clueless. We changed the menu to suit our taste and the food was incredible, everyone is still talking about how good the food was and how generous the portion size were. 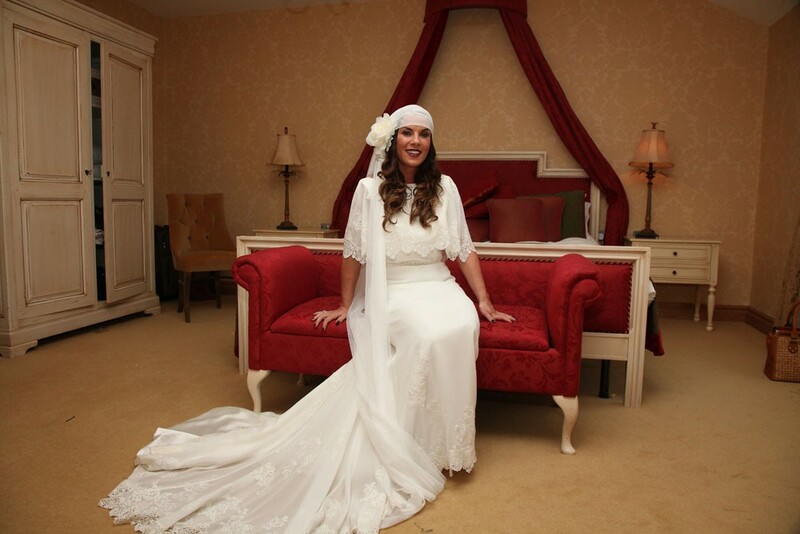 On the day of our wedding Bridget was there to make sure everything went to plan. I highly recommend Kettles as a wedding venue. 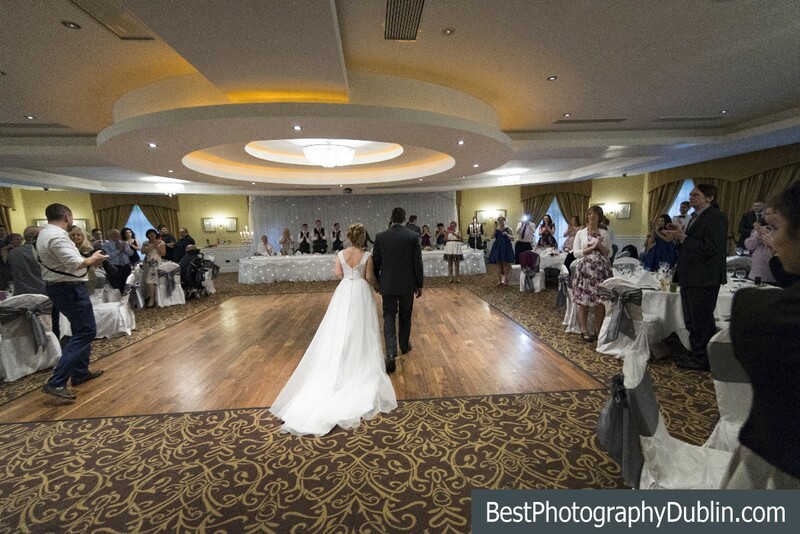 We were looked after so well, staff were lovely and couldn’t do enough to make our day be perfect. Wish we could do our day all over again. 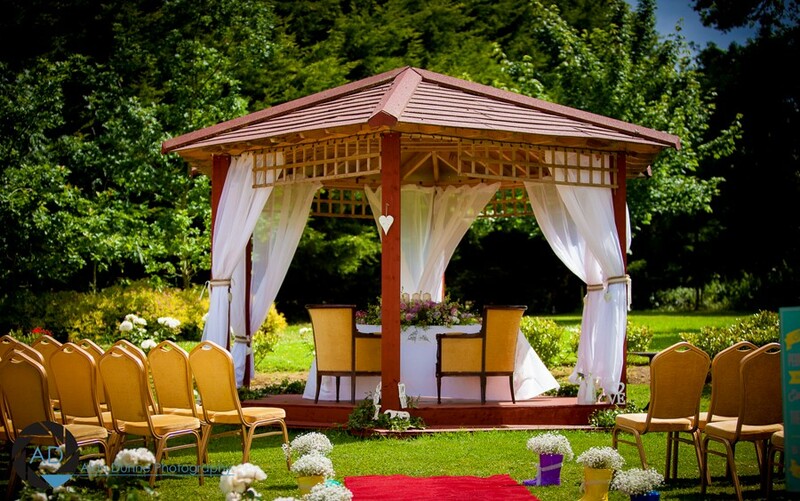 We were based in Australia while organising everything for our wedding. 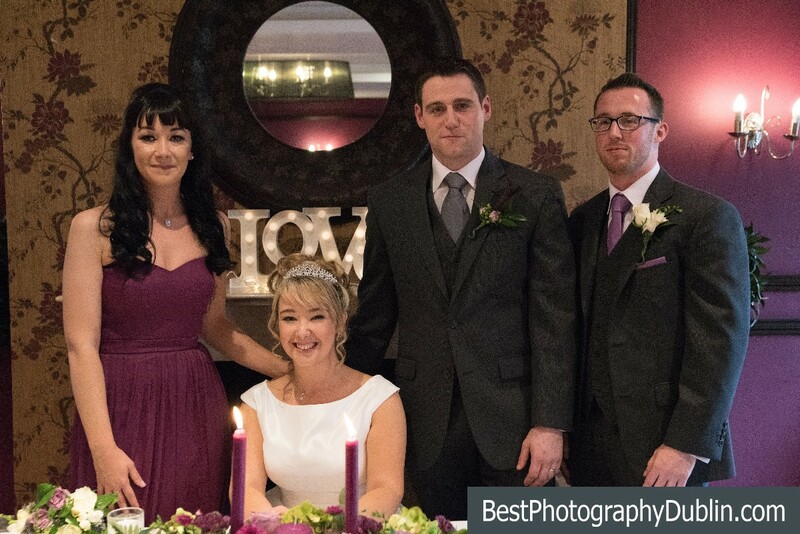 Out of all the people involved Elaine in Kettles Country House Hotel was by far the easiest and most professional in organising everything for us (with a 10 hour time difference that really helps!). 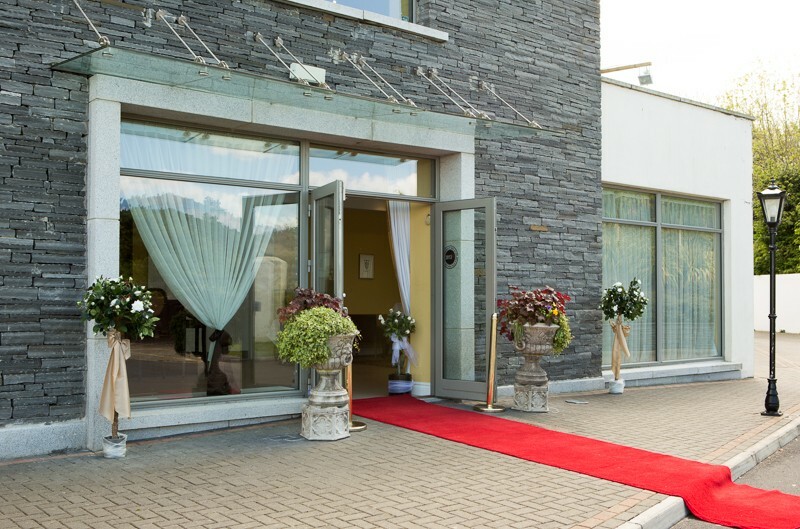 We hadn't been able to visit the venue until the week of the wedding when we landed back in Ireland and I have to say that Kettles exceeded expectations at every corner. On the day everything went without any issues, even when guests arrived early the team at Kettles were amazing and were ready whenever we were. The upstairs room for the reception was really nicely done, food and sparkling wine coming at perfect times and enough seating for those guests who weren't able to stand for 2 hours. And the covered smoking area for those smokers in the group was a blessing. 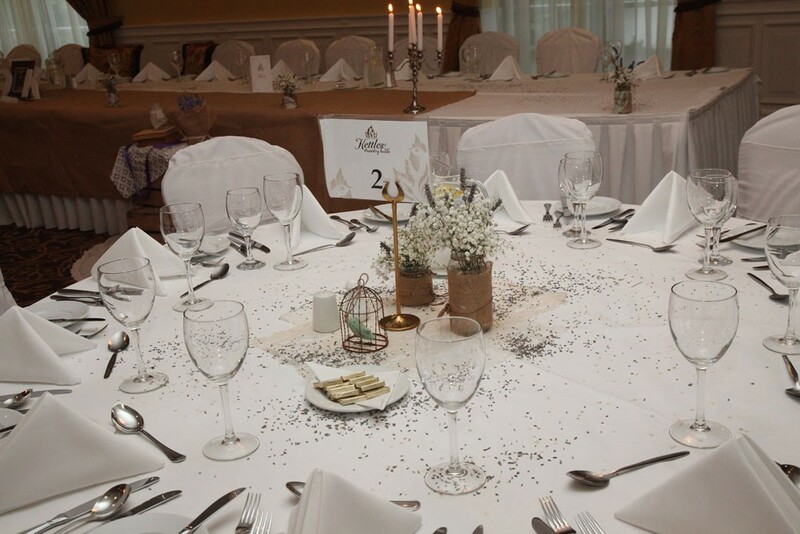 The dinner went well, the food was fantastic and the room was so well organised and designed it was beautiful (definitely a good choice with the candelabras and fairy back drop for winter). The floor managers were on point, everything was taken care of and we were able to relax and walk around talking to our guests. The rest of the evening was just dancing and the residents bar and the staff were amazing at every point. 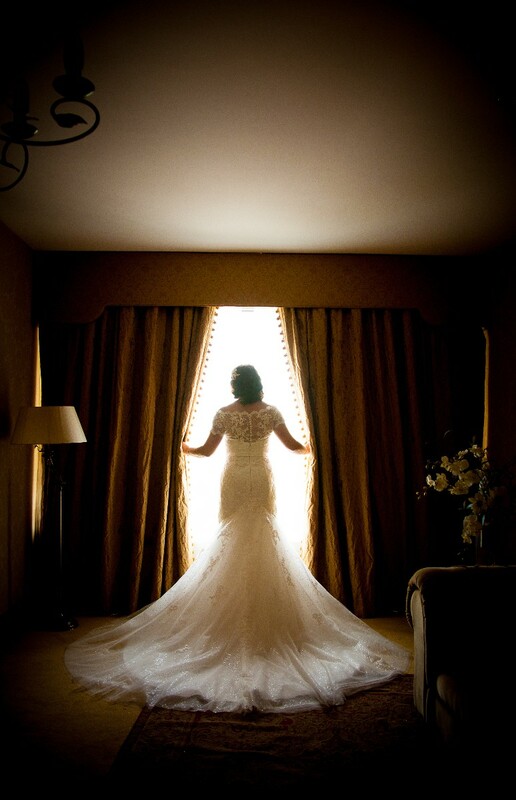 After the wedding we got a lot of feedback from all our guests, every single one who stayed in the hotel said how great the rooms were, very large and comfortable (the bridal suite is the best we've seen). The team at Kettles were all polite, friendly and super professional. And we mean friendly in a genuine way not a forced way. We couldn't have asked for a better venue, a better team or a better organiser (Elaine is a godsend!) for our wedding. It's a day that we will remember forever and was made even better by how spectacular Kettles made it. 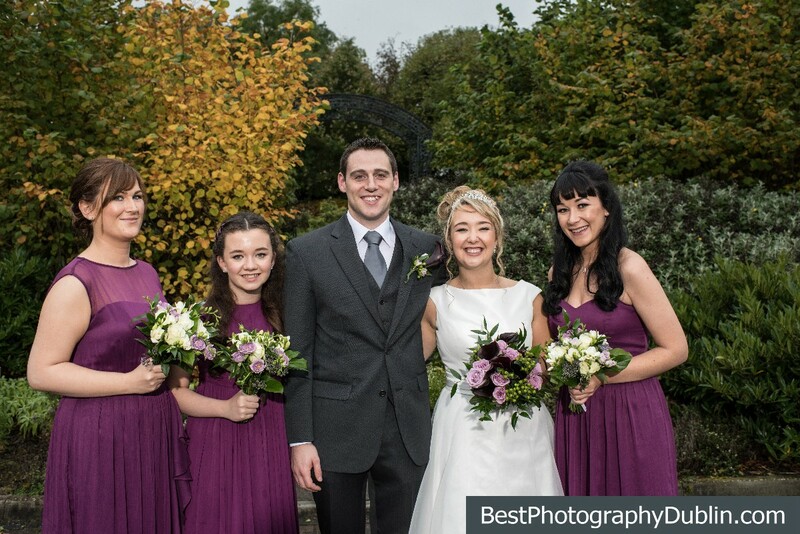 Kettles were so accommodating to us as I was planning the wedding in Dublin while we lived in cork so I had a lot of contact with Elaine and she was amazingly brilliant. All of the staff were great and so professional all day. We were so happy we choose kettles to have our wedding. 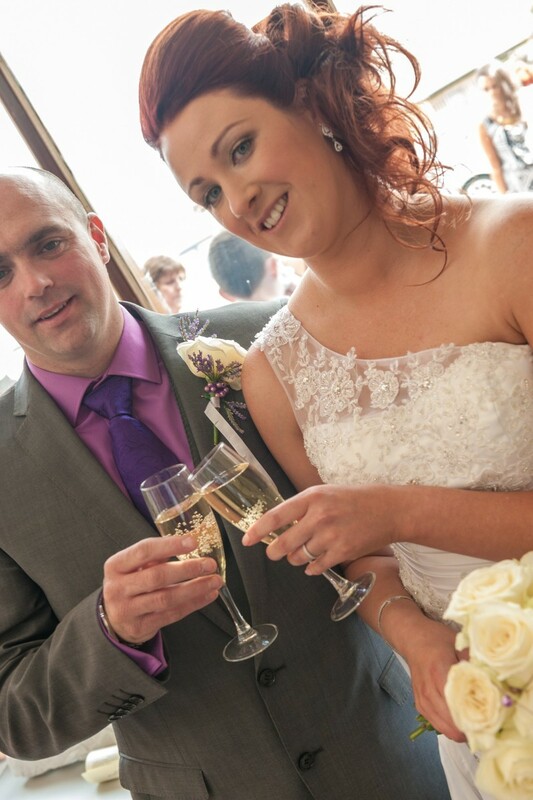 Hi Lisa, I am delighted to hear your feedback from David and your Special Day! We hope to welcome you back again soon whatever the occasion! Hi Elaine, Thank you so much for such a kind review and for your recommendation! 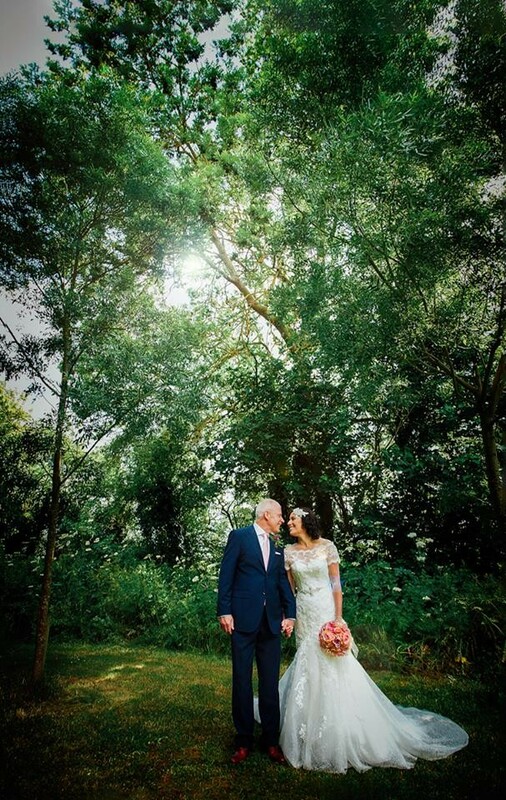 I am so pleased to hear that both Ray & you were pleased with everything on your Big Day! I was so happy the weather was on your side for the outdoor ceremony. 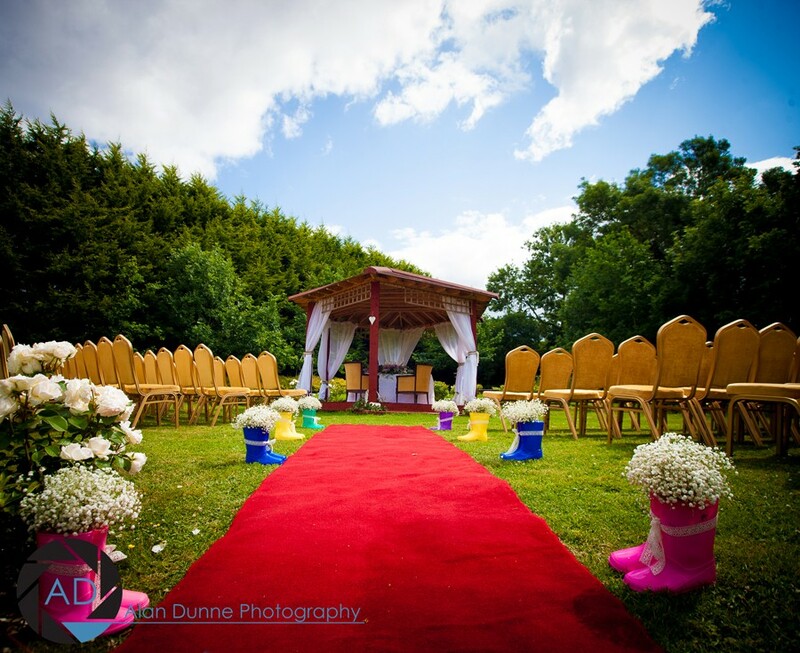 We are so happy you chose Kettles as your venue and that we could be a part of your Wedding Day. We very much forward to your next visit to Kettles. We had had our wedding outdoors which the kettles was perfect for. Great day. Staff were brilliant on the day/night. Highly recommend this hotel for a wedding. Hi Stephen & Mandy, Thank you for taking the time to leave your feedback. I am so happy to hear that you were happy with everything on the day. We hope to welcome you back again soon! Amazing venue, perfectly decorated for us.. staff out of this world, friendly, efficient, thoughtful... couldn’t do enough for us on the day & in the lead up over the last 2 years, great value for money, great packages for all budgets and the day after they still made us feel special and took care of us & the guest that stayed a second night! Hi Sarah, hope you are both keeping well and enjoyed your Honeymoon. Thank you so much for your kind review. 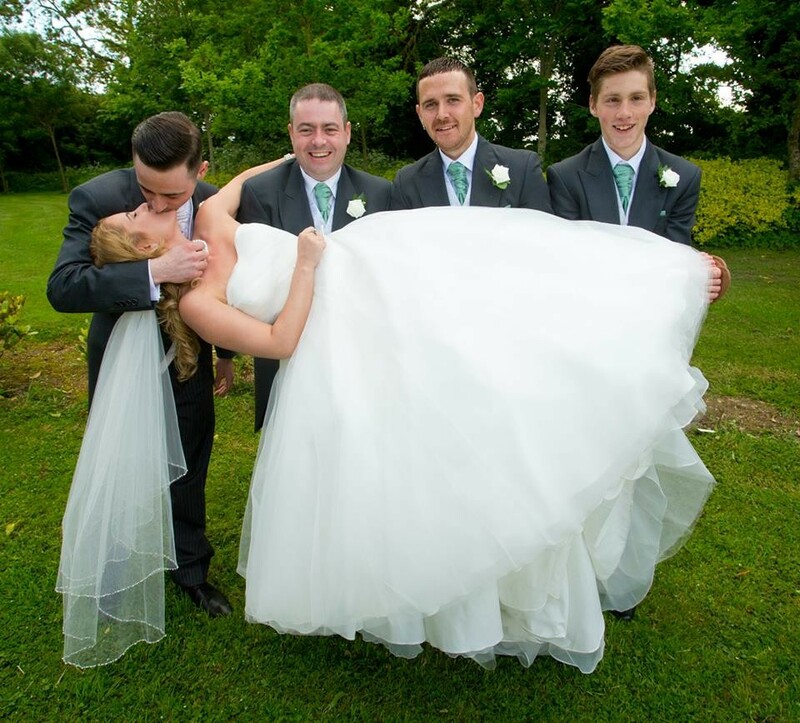 It was our absolute pleasure to work with Alan and yourself in the run up and the day of your Wedding. I am delighted that you were pleased with everything. We hope to welcome both Alan and yourself back again soon, whether it be for a meal or a little getaway. 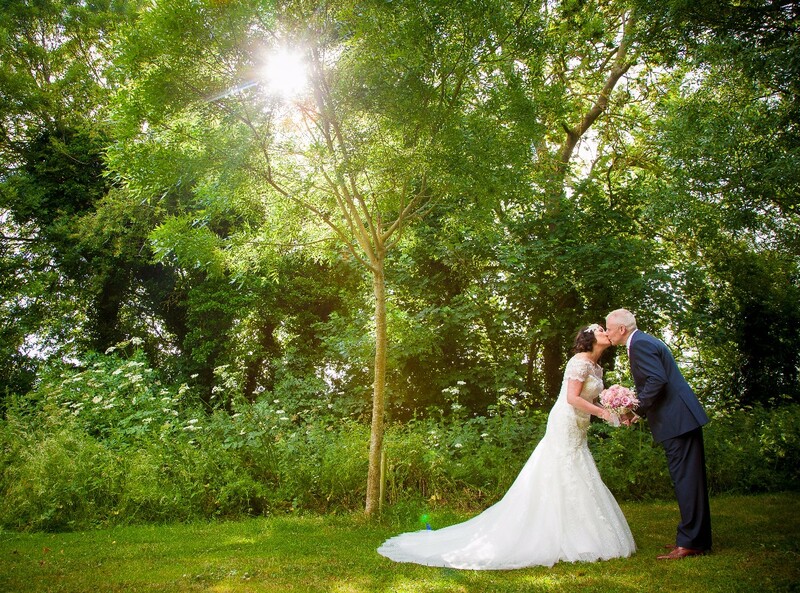 I had my wedding here on the 8th july this year,cant recommend Kettles enough.We were giving 5 star treatment from start to finish..The staff could not do enough for us and our wedding guests..
Kettles Country House Hotel is incredible. 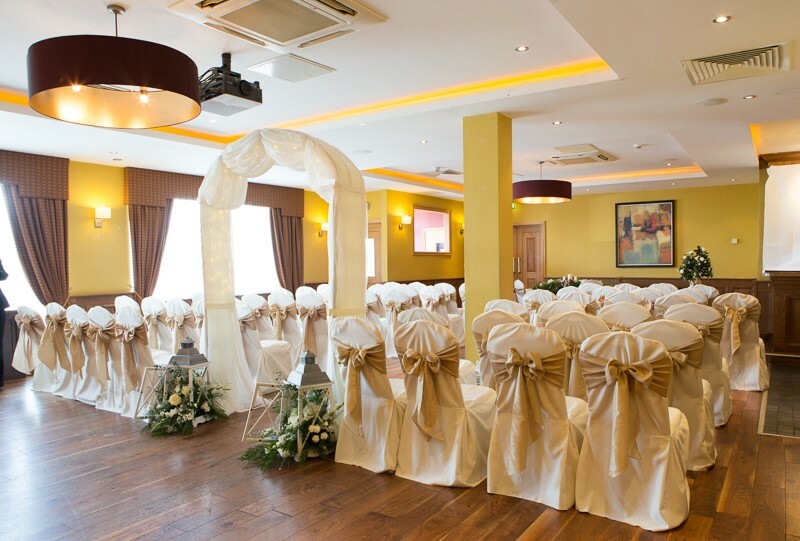 Having had a not so pleasant experience with a different hotel, we were very hesitant about setting our minds on a new venue for our wedding, but the entire team instantly put our minds at ease. The hotel is really beautiful and the staff are so incredibly helpful and accommodating. Events coordinator Elaine is an absolute powerhouse. 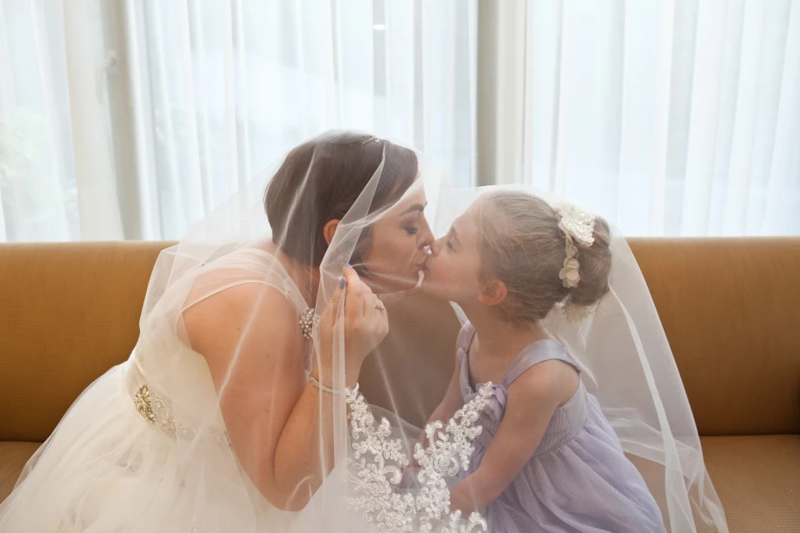 She was always easily contactable and did everything she possibly could to ensure our day went off without a hitch, and it really did.All of our guests had a great day and are still talking about it. We can't recommend Kettle's enough. 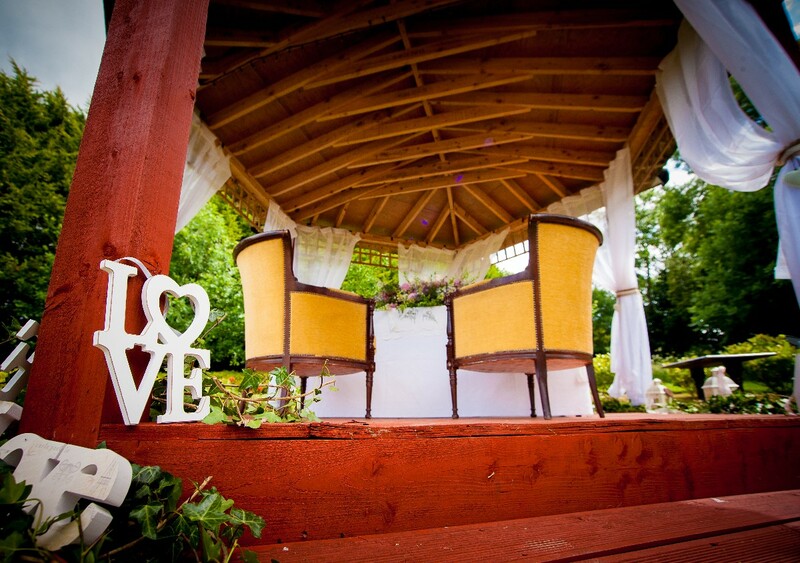 It truly is the perfect place for a fairy-tale wedding. We couldn't recommended Kettles highly enough they helped make our day the fabulous day it was. 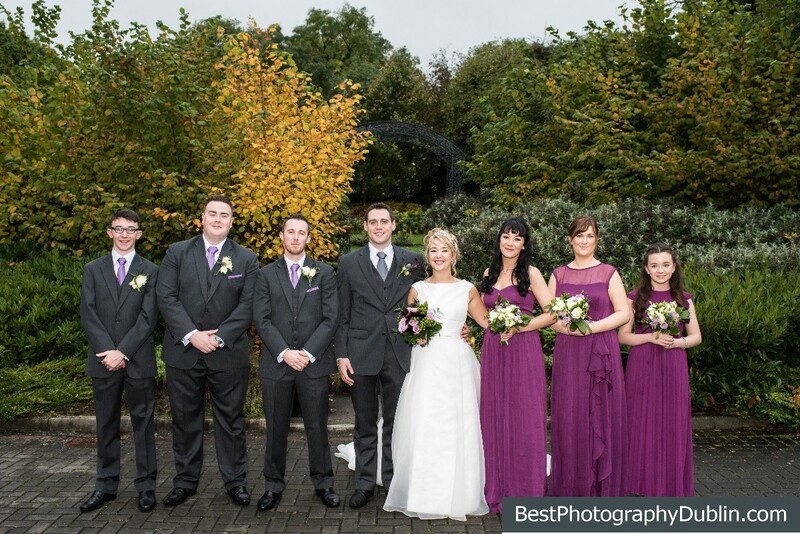 The staff were so helpful and courteous and Elaine the wedding coordinator was a pleasure to deal with. Food was delicious everyone still talking about it!! Our wedding at Kettles was excellent. The staff were unbelievably helpfull and made our day go off without a hitch. From the moment we met Elaine (wedding coordinator) she made sure that everything for our wedding was absolutely exactly as we wanted it. The staff on the day itself were fantastic , the food was top notch . 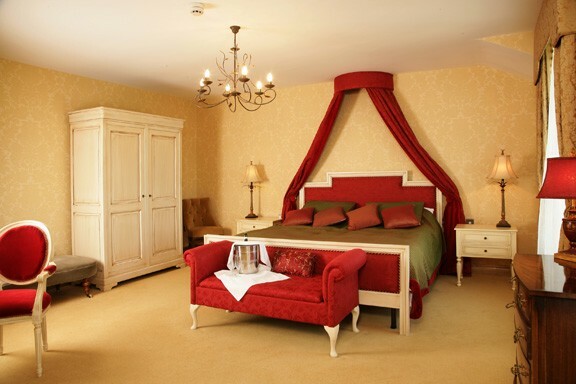 The rooms in the hotel are very comfortable , and all of our guests really enjoyed the whole experience at Kettles. We will definitely be returning at some stage. Hi John & Margarite, Thank you so much for taking the time to leave such a great review. 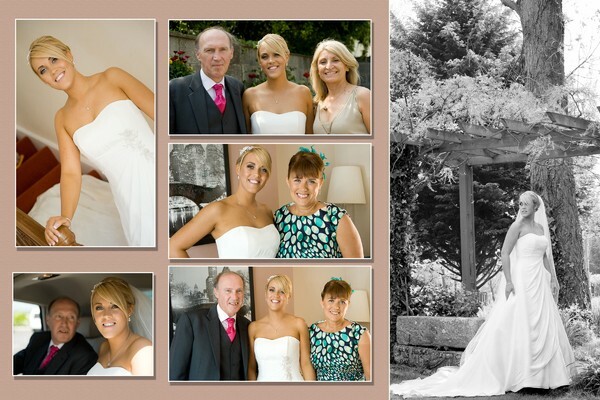 I am delighted that you were so pleased with how everything went on the day of your Wedding! It was my pleasure to be a part of your special day and help ensure that everything went just the way you had both envisioned it. 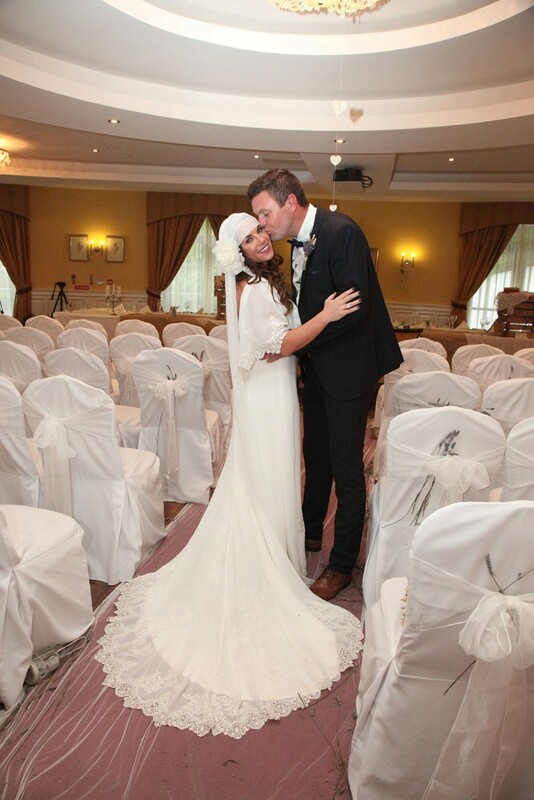 I hope to see you both again in the near future Mr & Mrs Duffy! 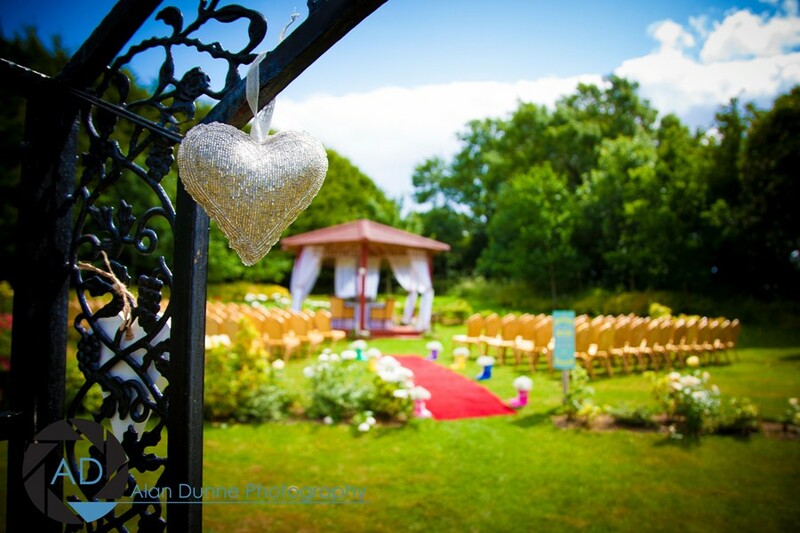 Had our wedding here recently and I cannot speak highly enough of the staff and venue itself. Went out of their way to accommodate us and were so helpful in the run up to and throughout the day. Food was delicious! They couldn't have done more to make sure that our day was anything but amazing! Excellent venue. Staff, food and facilities were excellent. All the guests raved about the food. Have no negatives to mention. 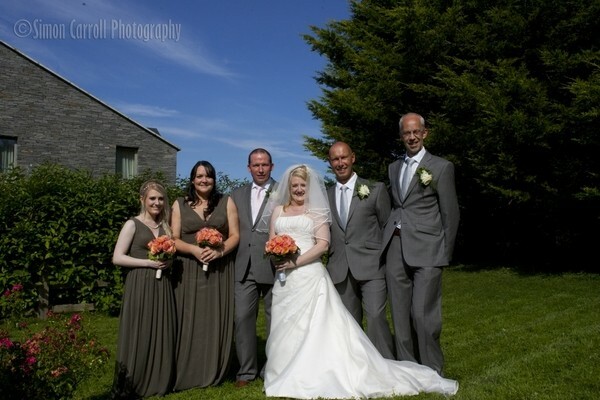 Our wedding day in Kettles Country House was a wonderful day. 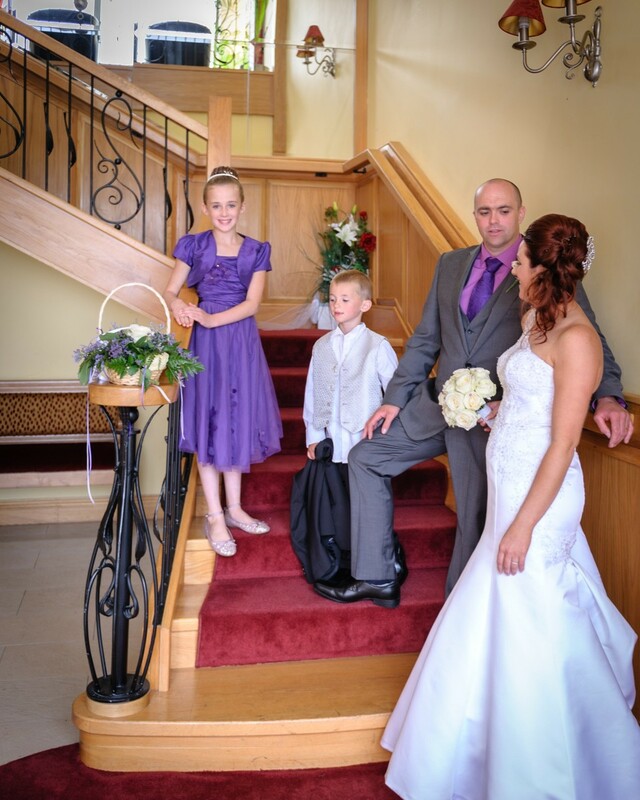 All the staff were so friendly and helpful from the day we booked our special day. Anything we asked for we got and they were so flexible when I came to use choosing our menu and ceremony. 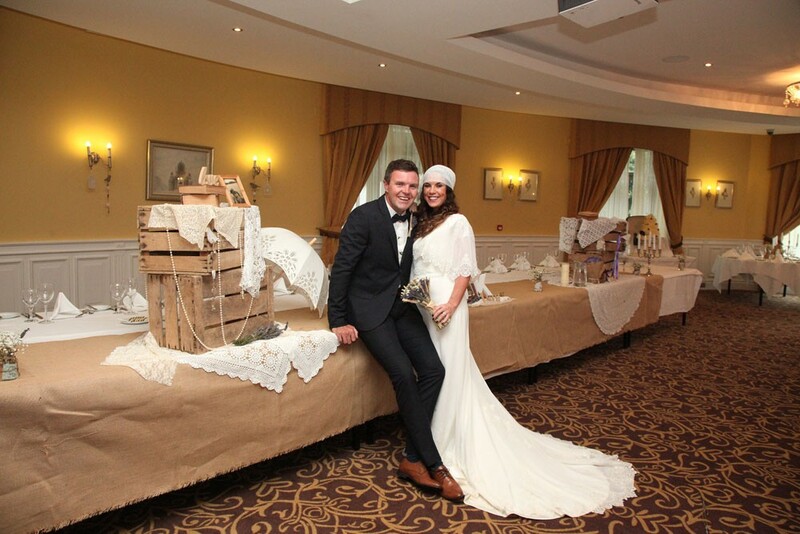 Our wedding was on all Ireland final day which could have been a headache but Colin and Elaine made sure all our guests were well looked after. I would highly recommend the hotel for a wedding. Hi Karen, Thank you so much for your lovely review. 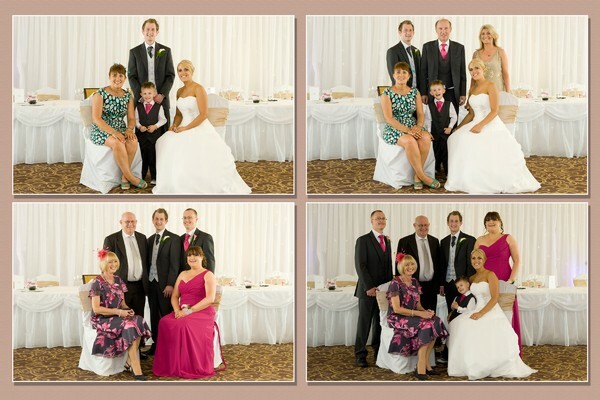 I am delighted that we were able to make your Wedding day everything that you had hoped. I was always happy to receive your calls, whether it be for going through final details or just a quick chat, it was always a pleasure! 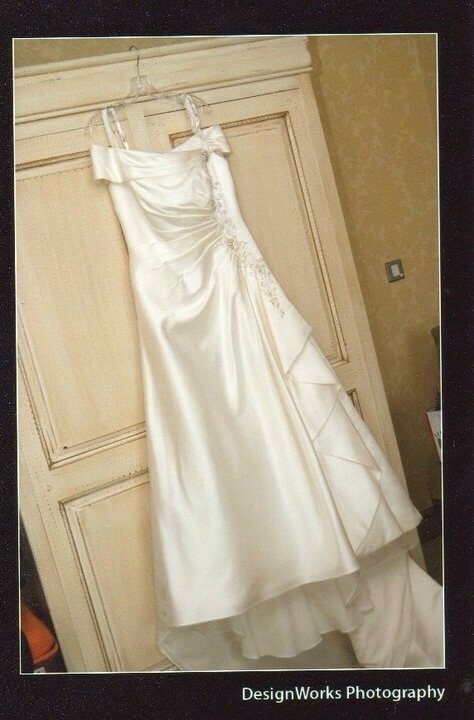 I hope all is well with Glen, yourself and the girls and you are enjoying Wedded Bliss, Mrs Maher! Kettles were fantastic, beautiful venue reasonably priced. Myself and my partner booked this after attending a friends wedding here previously. As both of us are based in the UK it was a little more tricky to arrange at a distance however the hotel were very helpful. I got so many comments about the quality of the food and the staff. 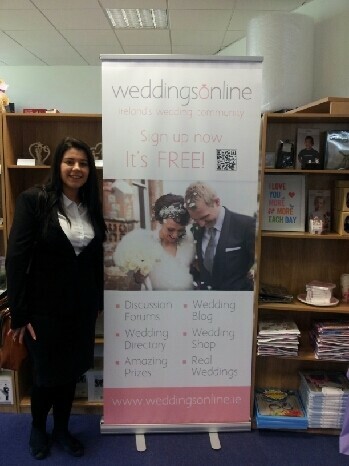 The wedding co-ordinators were both extremely helpful. 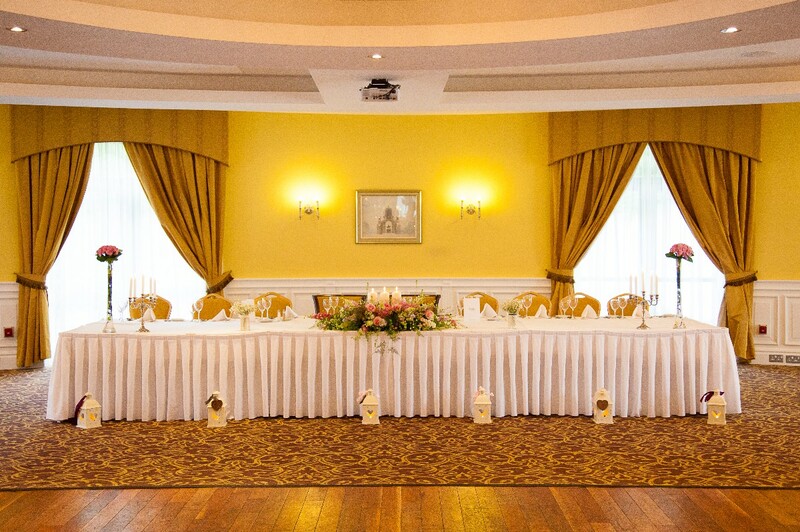 I would not hesitate to recommend this hotel as a wedding venue to anyone. 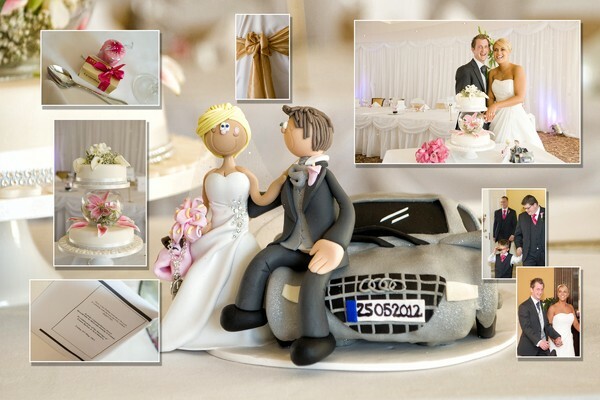 Hi JC & Nelly, Thank you so much for taking the time to write us such a lovely review. It is always great to get such positive feedback from our Wedding couples and I am thrilled to hear that you would recommend us. 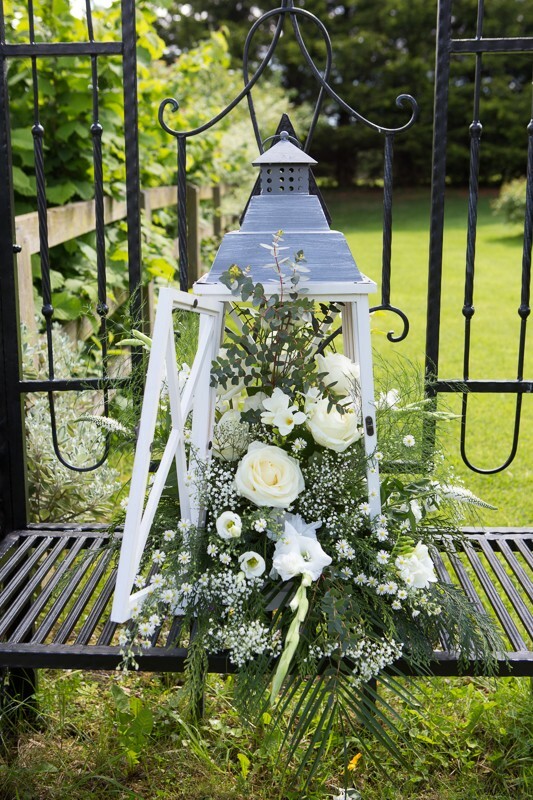 We hope you are both keeping well and enjoying wedded bliss! We hope to see you again in the near future. Kindest regards, Elaine. Great day from start to finish. Food and service was excellent. Wedding coordinator was helpful, polite and approachable. Nothing was too much and all requests were met in full. 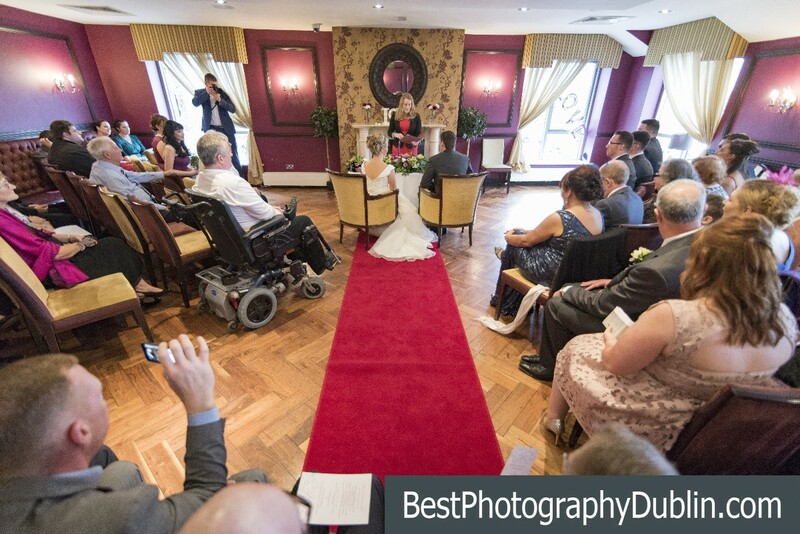 The day itself went with no hitches, feedback from guests was extremely positive. Food was beautiful and wine flowed freely. Staff couldn't do enough for all on the day. 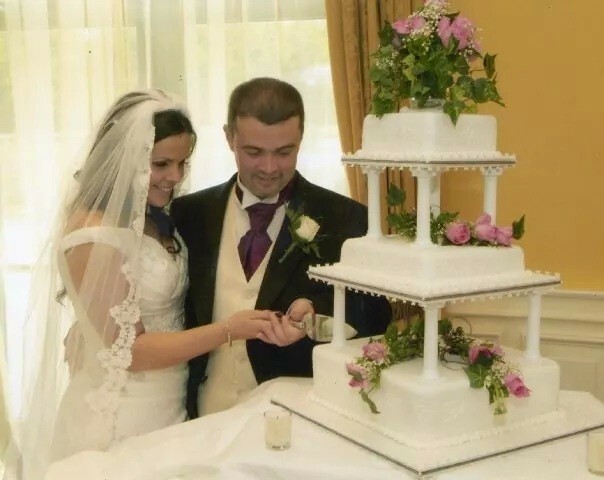 Issue encountered when trying to retrieving wedding candles and cake figurines following the wedding however we partly take blame for this as we feel we should have reiterated that we wanted these before-hand and not retrospectively. 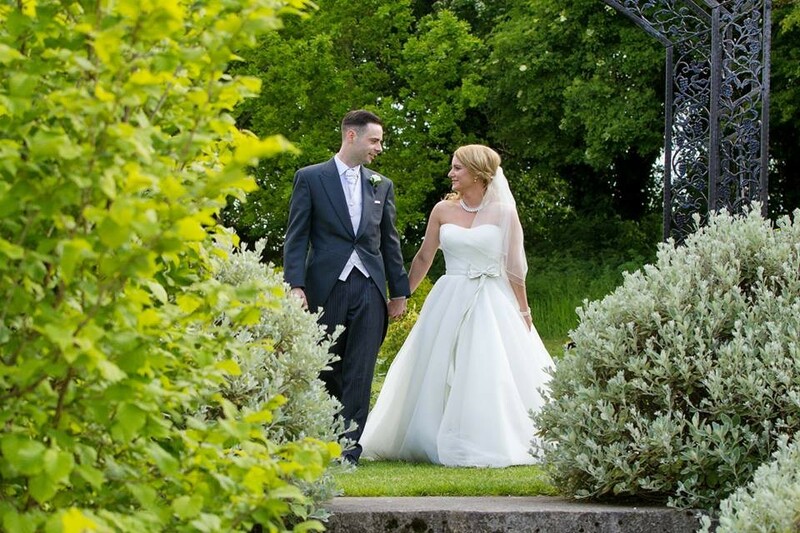 Hi Kelly, Thank you for your review of Kettles Country House Hotel for your June Wedding. We are all delighted that yourself and Vincent had such a fabulous day. Looking forward to seeing you both soon. Kind Regards, Brona. 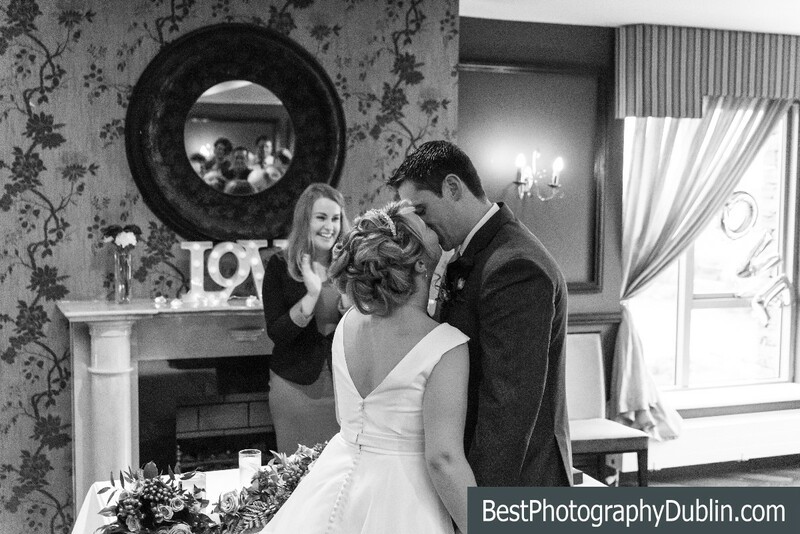 Hi Audrey & Dave, Thank you for your very kind rating of your recent wedding reception here at Kettles Country House Hotel. We look forward to welcoming you both back again soon. Kind Regards, Brona. 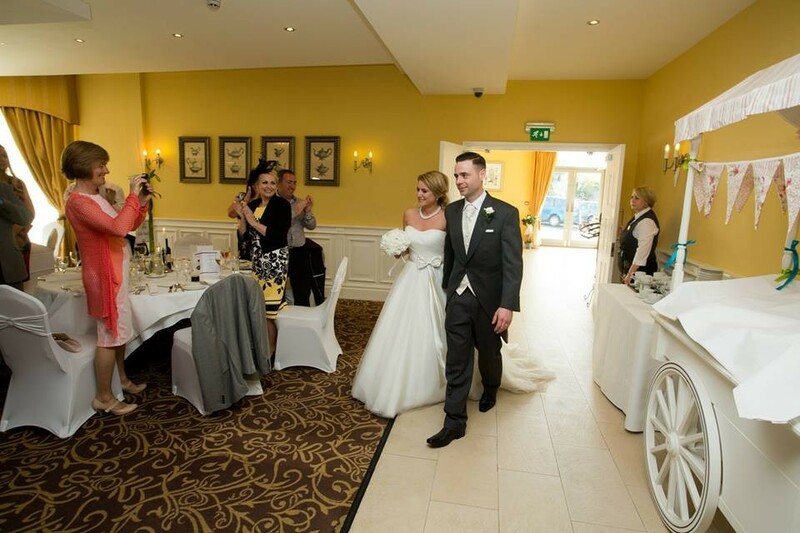 Kettles Country House Hotel was the perfect venue for us. 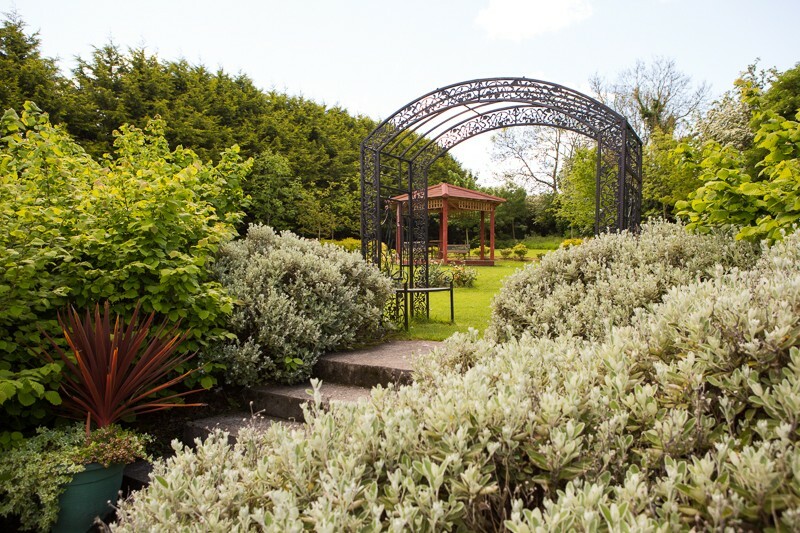 The location is gorgeous, in the countryside (plenty of nice places for photos) and yet close to swords village and the airport. 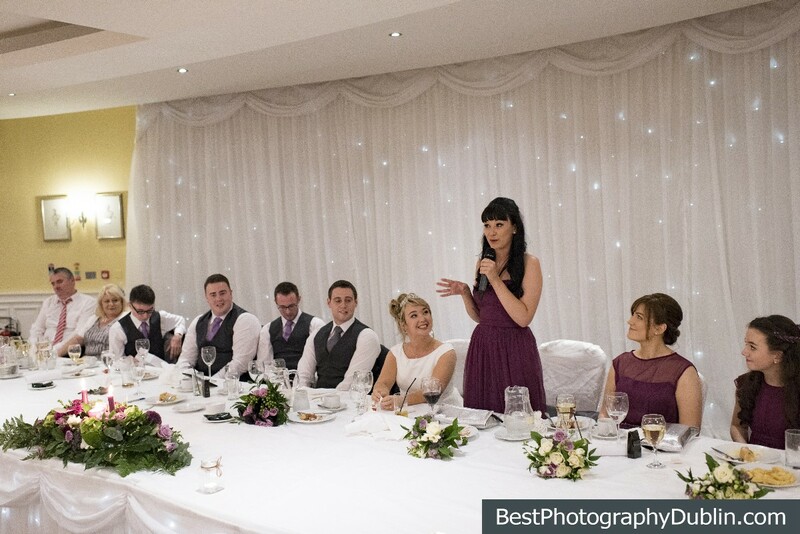 The staff were amazing from start to finish, Bronagh the wedding co-ordinator went above and beyond the call of duty and was incredibly professional throughout. Us and our guests were made to feel special and there was a definite sense of the personal touch in everything that was done. We heard nothing but excellent reports on the food, service and accommodation. 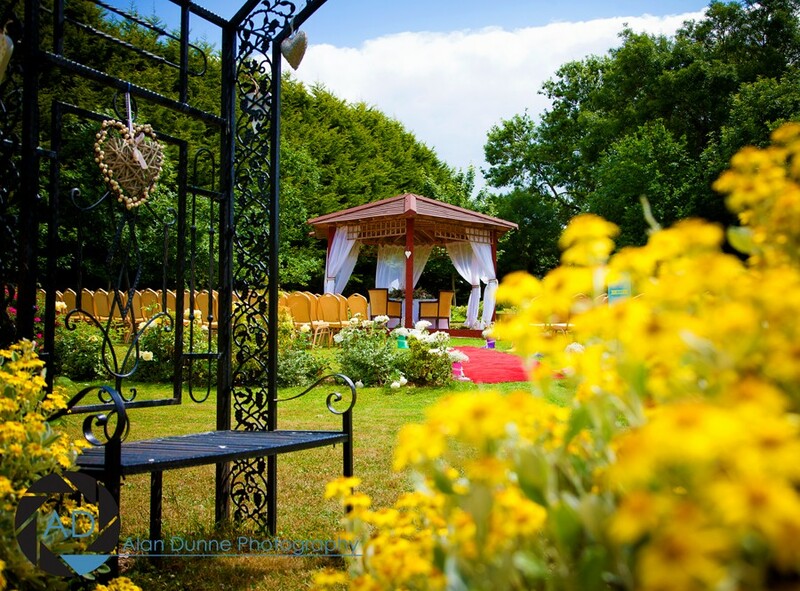 If you are searching for a fantastic, intimate and relaxed venue for your wedding reception where you will feel confident that everything will be done to the highest standards, I would highly recommend this gem of a place. We are so glad we picked Kettles. 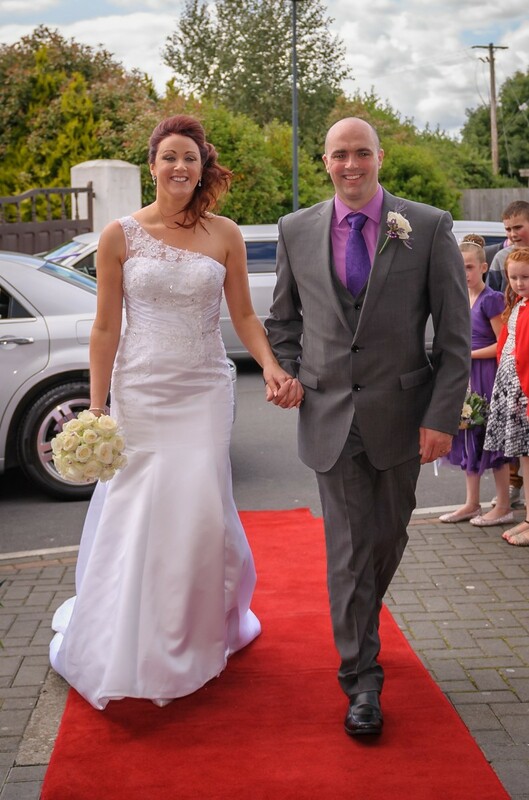 A special word of thanks to Colin and Bronagh and all the team. 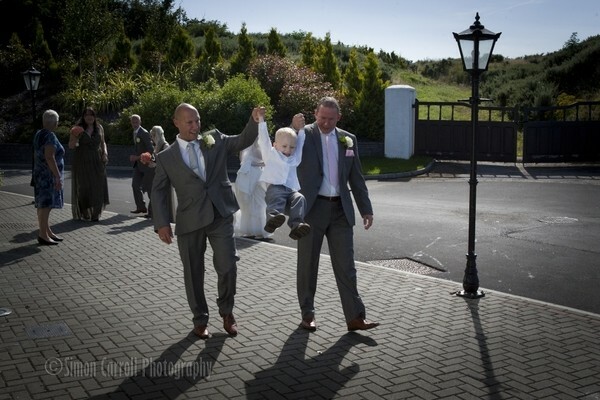 We had our wedding in kettles country house hotel on 30th Aug 13 , the best day of our lives all thanks to the management (Colm kettle ) and all the staff at kettles we couldn't fault one thing and the 150 guests catered for couldn't have asked for a better day out ! They also have beautiful grounds at the rear of hotel for pictures .. I would highly recommend this hotel for anybody thinking of booking a venue u will not be disappointed . 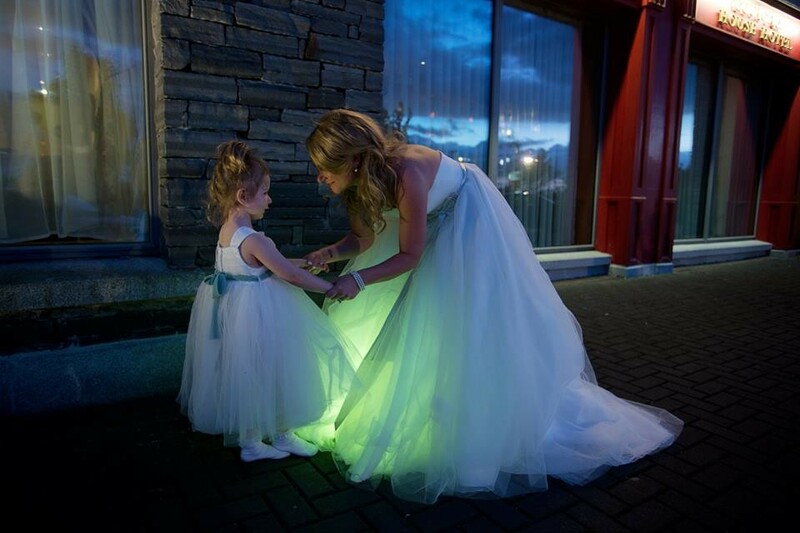 From the moment I went to Kettles I fell in love with the hotel and function room and the gardens.. the staff were extremely helpful in every way possible and never too busy to answer any queries on the lead up to our wedding.. on the day itself everything was perfect and all of my guests including myself were very impressed with how well looked after they were with table service and the food was a big talking point as it was delicious.. 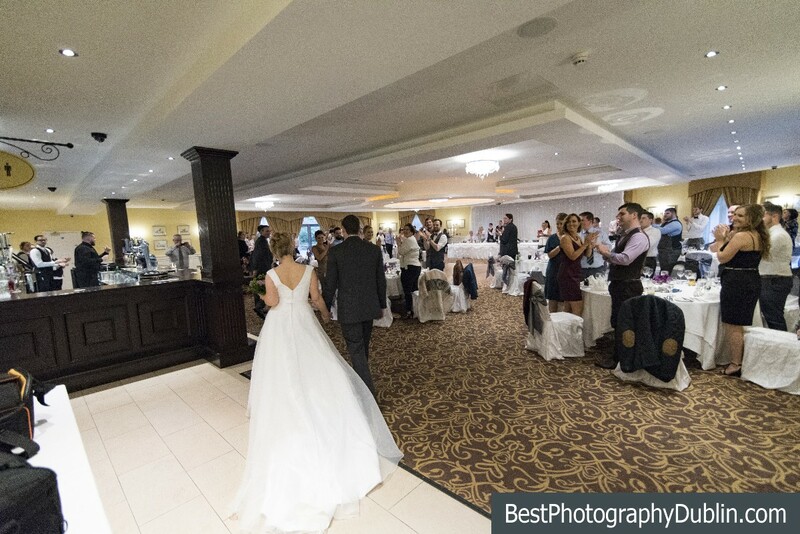 I would highly recommend this venue to anybody..
Hi Brona, I just wanted to send a quick email to thank yourself and the rest of the staff for making our wedding reception fantastic! 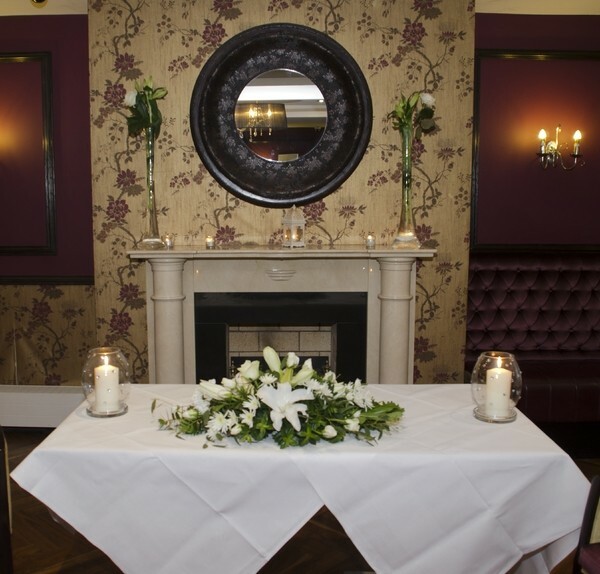 Everything exceeded our expectations, from the excellent food to the extremely friendly and professional staff. On more than one occasion you guys went the extra mile which was really appreciated, nothing was too much to handle. As a result, myself and Dermot had a fantastic day and evening. Our guests could not praise you guys enough, the amount of lovely stories we heard about their experiences in the Kettles was heart-warming. 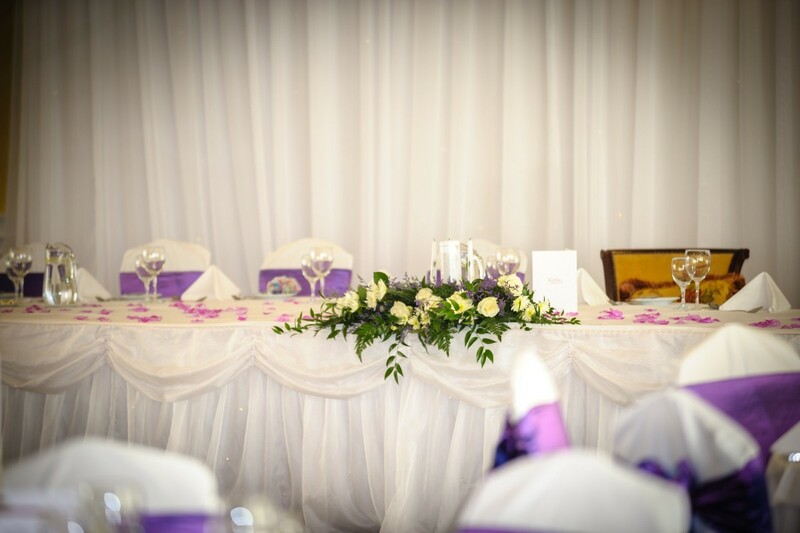 We will be recommending the Kettles hotel to anyone who is considering holding their wedding reception there as it has such a friendly and homely atmosphere from the moment you arrive to the time you leave! It was great doing business with you and we will definitely be back again! Bye for now. Hi Brona, How are you? 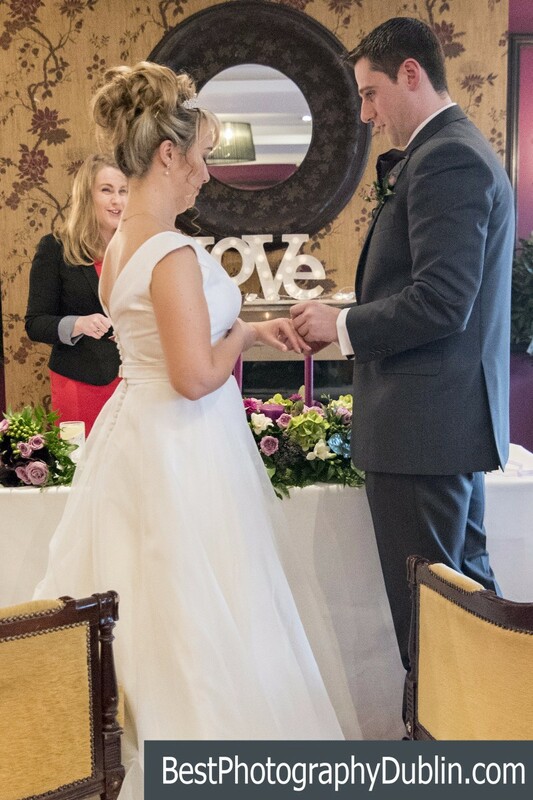 Myself and Fran would like to thank yourself & all the staff at Kettles very much for everything you did for us on our wedding day. We were delighted with everything that you did for us and we couldn’t have asked for nicer people to deal with. We had a fantastic day and everyone thought the food was amazing. Thank you again for all your help & hope to see you soon, Regards. 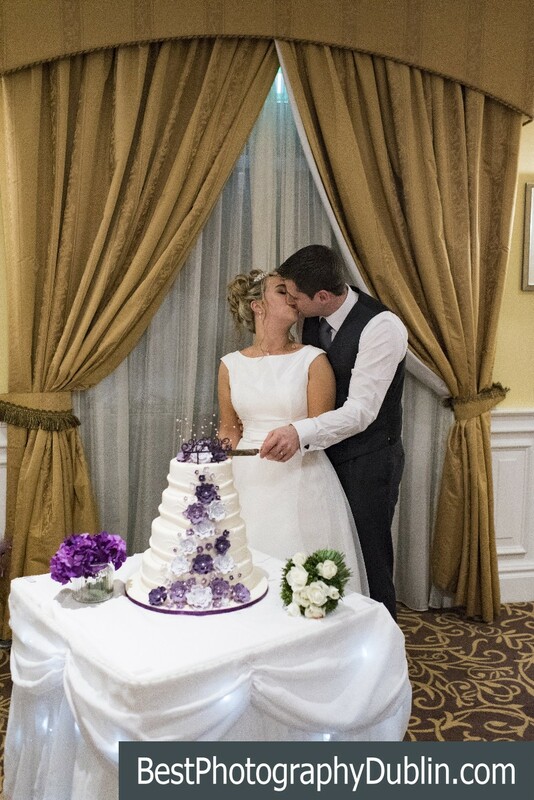 To Brona, Colin & Staff, A HUGE thank you to all in the hotel for making our day special and perfect. We really appreciate everything you have done for us. We couldn't have chosen anywhere better. 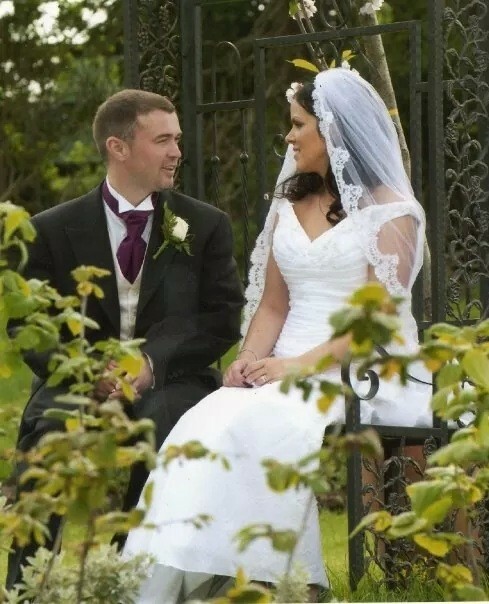 Dear Colin, Joe & Brona, This is a very @[email protected] letter and it’s in regards to my daughter Shereen Lyons wedding to James Dignam on Fri 8th August. First of all I have to say what a show you put on for the wedding itself/ It was wonderful and every person I spoke to said the same – food, service etc. We couldn’t fault you on anything. Your staff were amazing and nothing was too much trouble for them. They were so pleasant as well. You have to be highly recommended and congratulated on every aspect. My sister from Canada, with her son and his wife were truly amazed with everything. I know you know James personally and he has known you for a long time, and once again thank you for making their day very special, and everyone else’s too. Your rooms too were excellent and very very clean. Yours Sincerely. 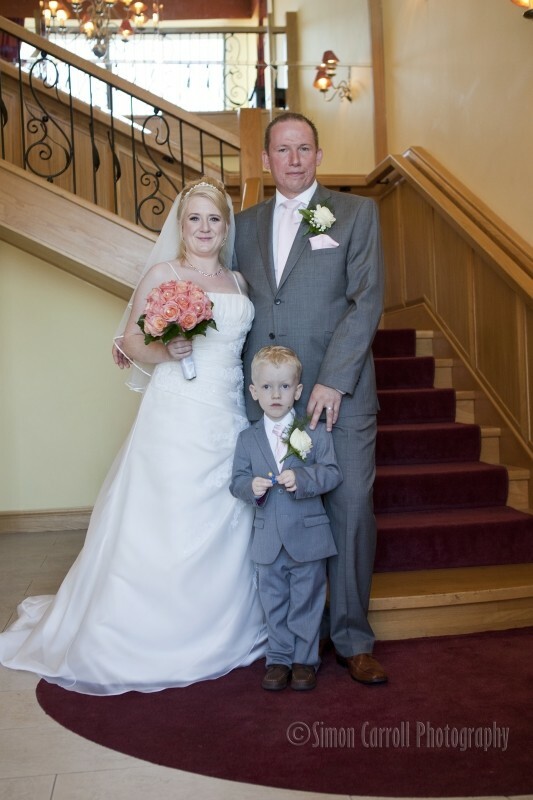 On the 19th of June I attended my brother’s wedding with my husband and two small children. The accommodation was wonderful and spacious and incredibly comfortable. The decor was new and fresh. The room plan was well thought out to accommodate parents with small children (sleeping area on one side of the room and a very comfy sitting area on the other). During our stay we had lunch, breakfast and dinner and not one complaint about the food... I would definitely recommend the Open Prawn Sandwiches... I usually find the amount of prawns pitiful but not on this occasion... yum. The staff were wonderful. From the receptionists who were incredibly helpful when my father was taken ill. The event manager who was on hand at any given moment, who made things flow effortlessly and night security who assisted with sleepy children after a long night dancing. I had occasion in dealing with all of them throughout our stay and I have to admit, I cannot remember the last time I received such wonderful customer service. A genuine want to help in any way possible and checking in to make sure everything was as it should be. Plenty of parking and a beautiful garden hidden away at the back of the premises with lots of space for the kids to run around. 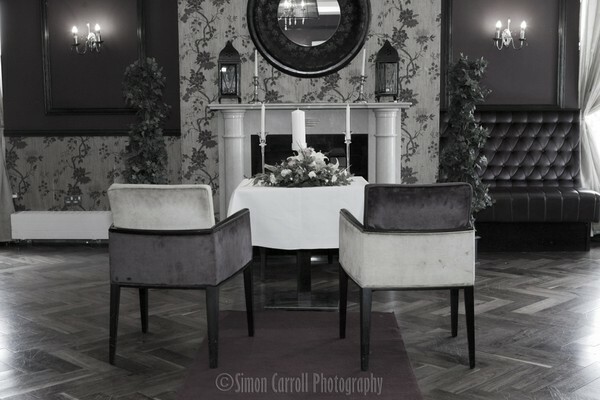 Great venue for a wedding, yummy food and wonderful staff. Located out in the countryside for the peace and quiet but with a bus services that will take you into the local bustling village in 15 minutes where there are restaurants a plenty, a large shopping centre (the pavilions), pubs for all ages, a nightclub and a cinema. Also a short drive from Tayto Park and Newbridge House and the National Aquatic Centre... I definitely recommend it. 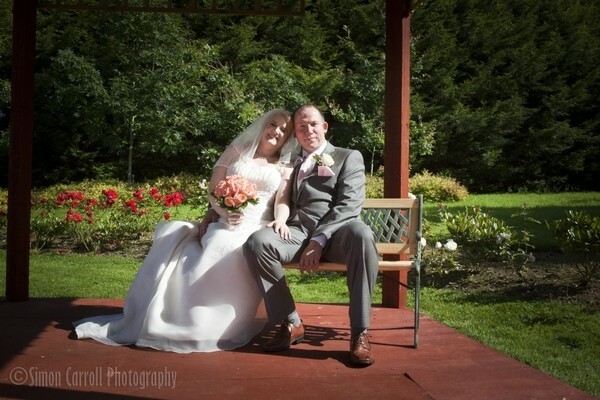 To all at Kettles Country House Hotel.. With much thanks for our recent wedding..all went so well and to plan... Many thanks to Barbara who started out with us and all the way through.And Brona on the day. Happy Wedding, memerial day and all enjoyed.. Thank you. Review by Pauline & Aidan. To Barbara and All The Staff Thank you so very Much for a lovely Day , and all your Help . To Barbara & All The Staff Thank you so very Much , we had a great day. 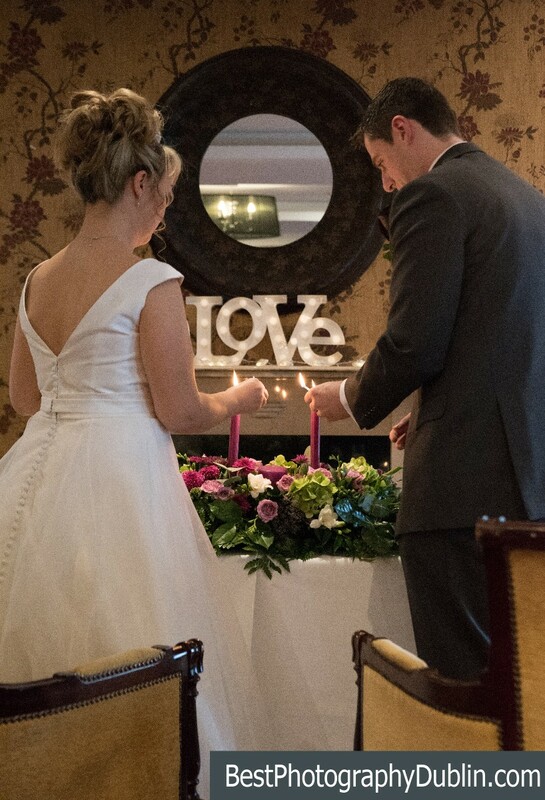 We had our 1st Anniversary meal - And on this Thanked all so much this time last Year for Our Wedding 24.05.13- And to Barbara , and staff. Hi Barbara, Colin, Paul-Chef , and all the Staff - thank you all so much for your Friendliness & helpfulness, Particularly Barbara- from, start to Finish. 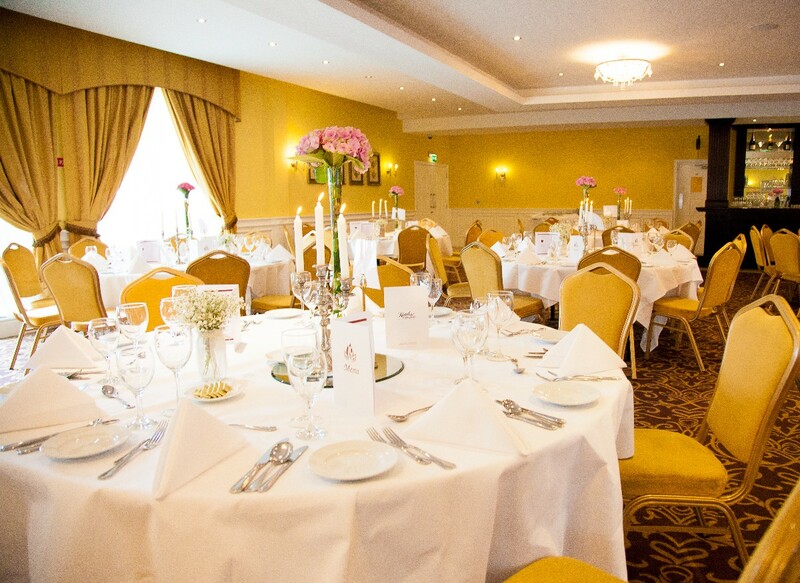 This is a really lovely hotel and we have just booked for our Wedding in August 2014 and Barbara really sold this well and is very professional, and made our last decision for us. Hi Barbara, I'm so sorry it has taken me so long to send this email I've been very hectic with work the kids etc.... and I am embarrassed I have not done this sooner. I just wanted to say thank you so much for all your help in organizing our special day couldn't of done it with out you. 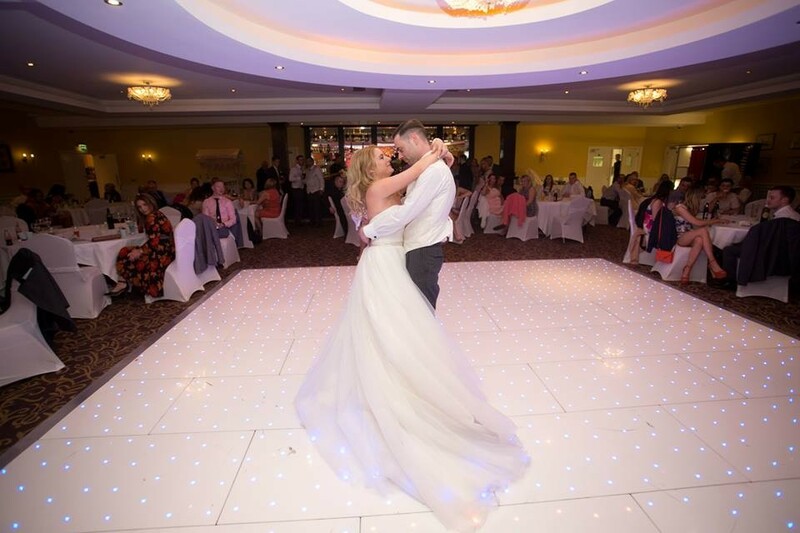 A huge thank you to all the staff that worked on the day, It went absolutely perfect , all of our guests had an amazing day and could not get over how friendly the staff were and delighted with the level of service that they all provided. The food was fantastic and everyone is still talking about how the food was delicious and that there was so much food that they were so full that dessert was a challenge (haha) The day was 100% perfect. 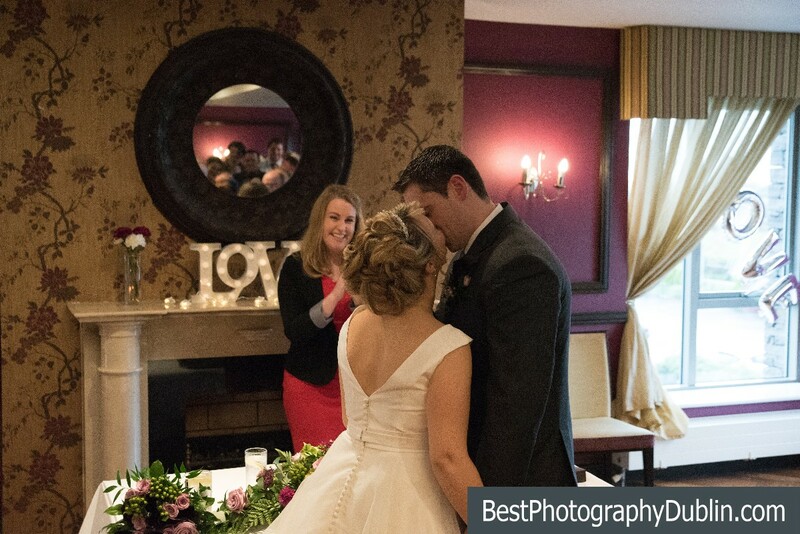 We are so happy that we chose your hotel as our wedding venue. Thank you again and we will see you in the very near future. 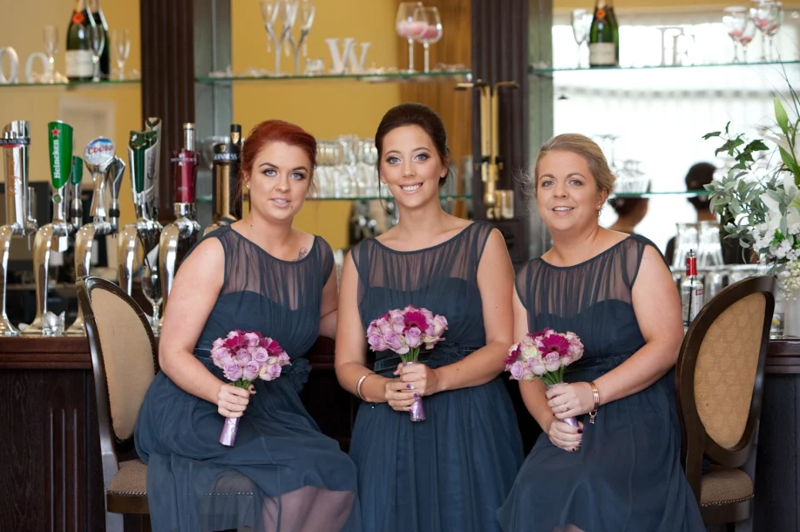 Dear Barbara, I would like to thank you you and the Hotel and Staff on the day, For all your help On our daughters Majella wedding day. Thank you. And we hope to come and stay for a night soon and see you then. 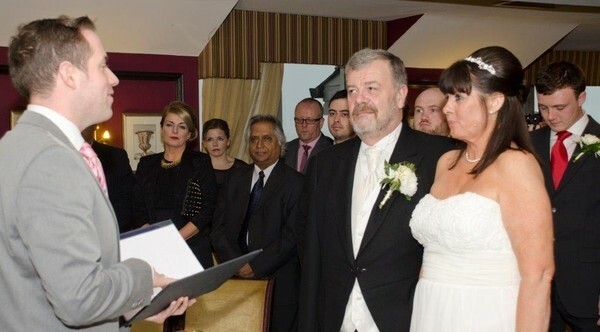 Dear Barbara, Bob & Staff, Thank you to you both for making Our Wedding and your kindness. Thank you. 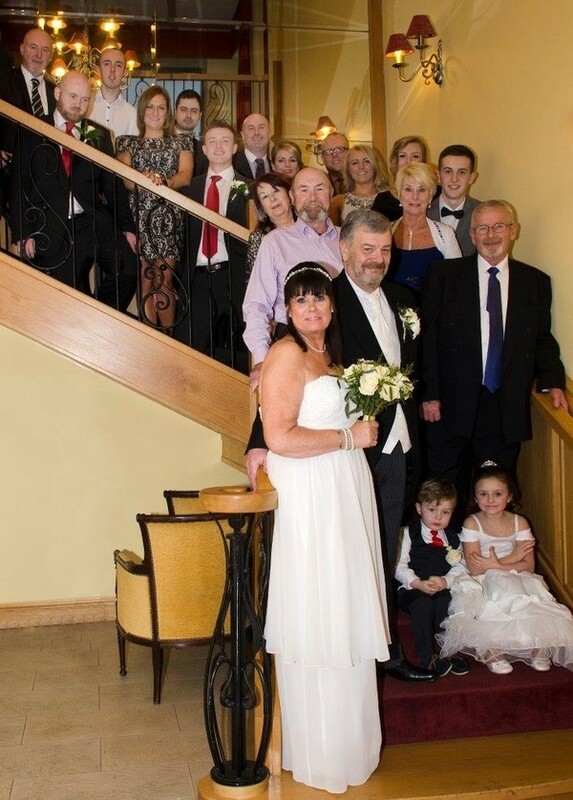 Hi, Wishing Kettles Country House the very best for 2013 especially to Barbara who made our wedding ... and Colin. Thank you. 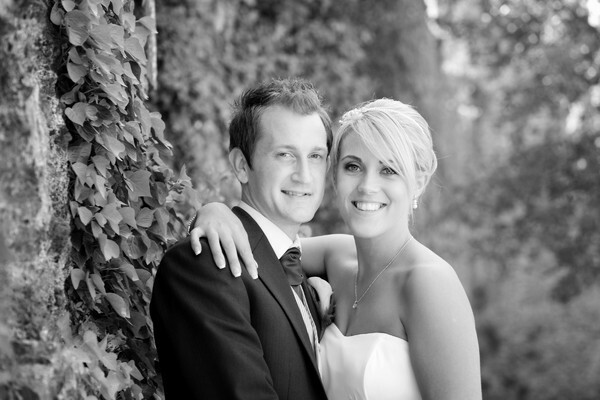 Barbara , We would like to Thank you very much for all your Help before & On Our Wedding Day . All The Staff at Kettles really helped to make it a marvellous Day. Thank you to you & Best Wishes. 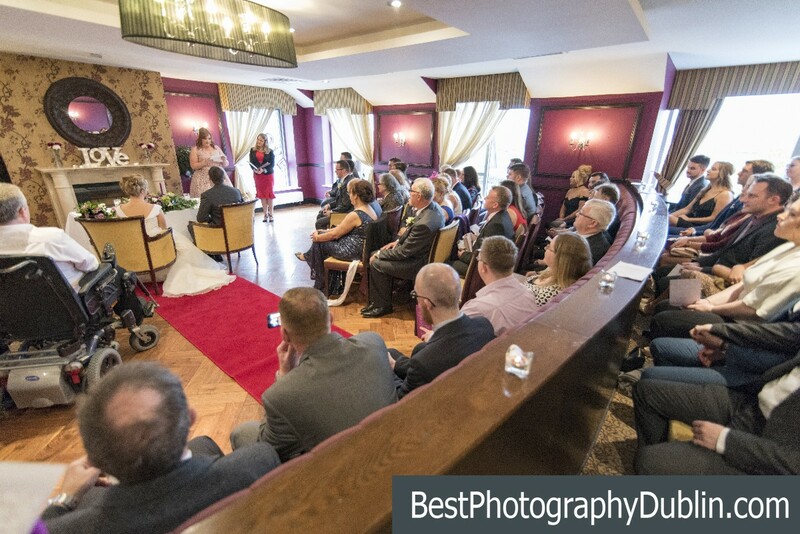 A great venue, lovely staff and you just know they care about their wedding clients. what more can you ask! To Barbara & Staff. 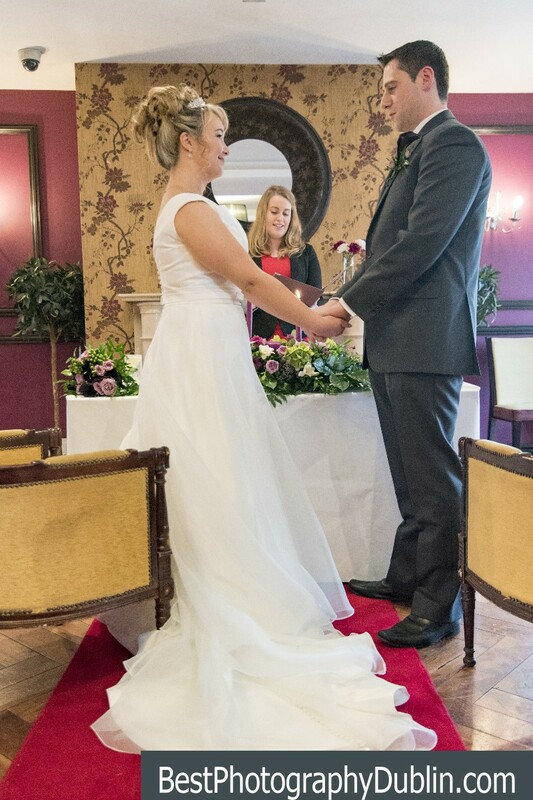 Thank you so Much for making our wedding day, We loved every part of it! All Our Love And Best Wishes. 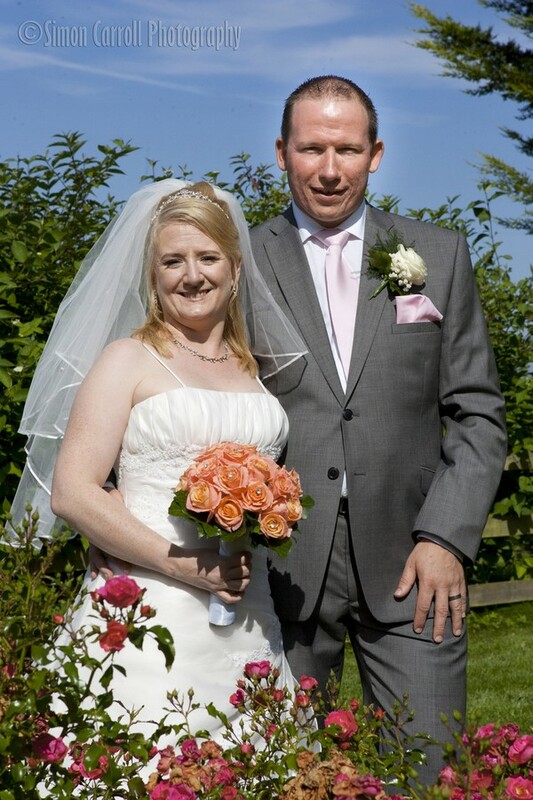 Hi Barbara, Thank you for all you did on Our Wedding Day.We had Such a Brilliant day. Hi Barbara,Can i Take this opportunity to Thank you and your staff for wonderful day . It really was amazing,the food was fantastic. The whole treatment we received . I cannot recommend your hotel enough, and how the room looked.Thank you for everything and most importantly thank you for helping us and working around our budget. To all the staff.Thank you all so much for making our day So special for us.Thank you. 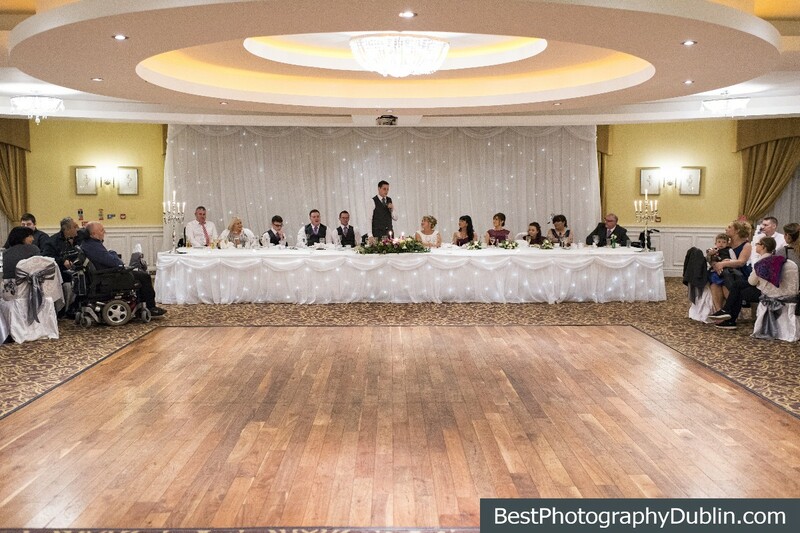 I had my wedding reception in kettles country hotel on the 24th of June 2011, the staff and management could not do enough for us which made are day run smoothly we cannot thank Barbara and her staff enough.thank you. 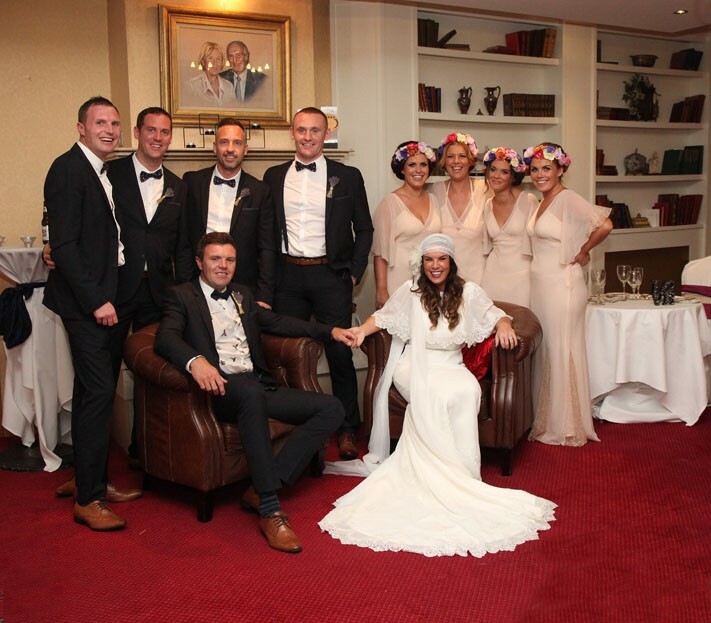 I wanted to Write & Thank you & all The Staff at Kettle’s Hotel for a fantastic Function on Friday Night. Everyone Thoroughly enjoyed themselves. The Staff, Accommodation, food & Function Suite were all excellent . And a Big Thanks to you for all your Help in organizing the Function. 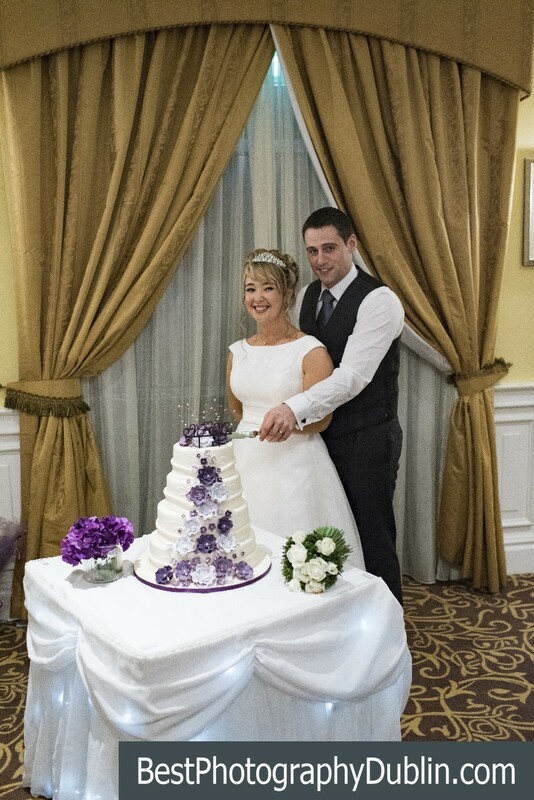 Paddy & Fiona , Would like To Thank you all for making Our Wedding Day Special . Your Hospitality and attendance to detail was excellence . On behalf of Ourselves and Our guests, We thank you all Very Much. 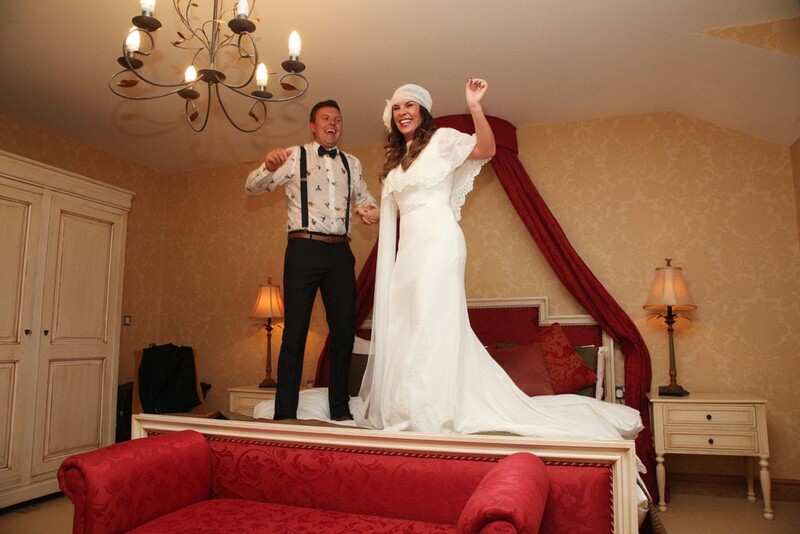 Hi Edel & Richard Hope you had a lovely Honey Moon . We wish you the very best for the Future. 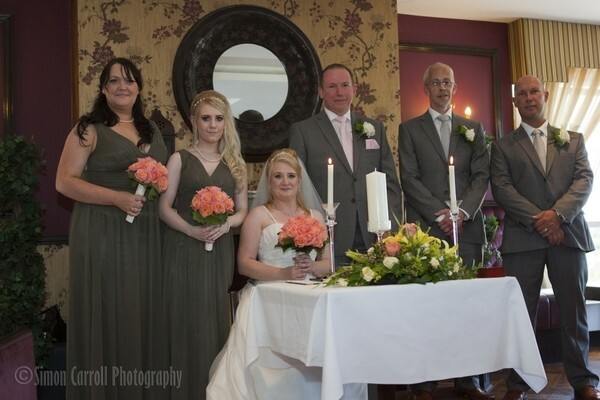 The Management & Staff at Kettles Country House Hotel. Hi guys,hope you enjoy the honeymoon as much as we enjoyed the wedding!Lots of love. We got married in Kettles country house hotel on the 30th of Dec 09 we had our service and reception in the hotel .We can not praise the team enough they made our day truly special after a difficult year.The food was outstanding and had no problem with making everything gluten free gravy, soup, everything was beautiful our guests are still talking about the dessert.. 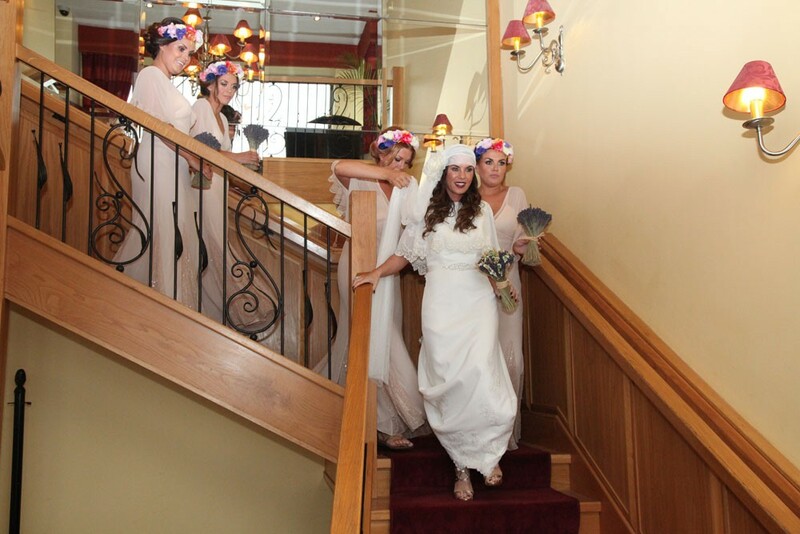 Thank you Audrey and Emer we had a fantastic day best wish`s for the future. Ask the Experts - Can you Haggle Over Corkage?